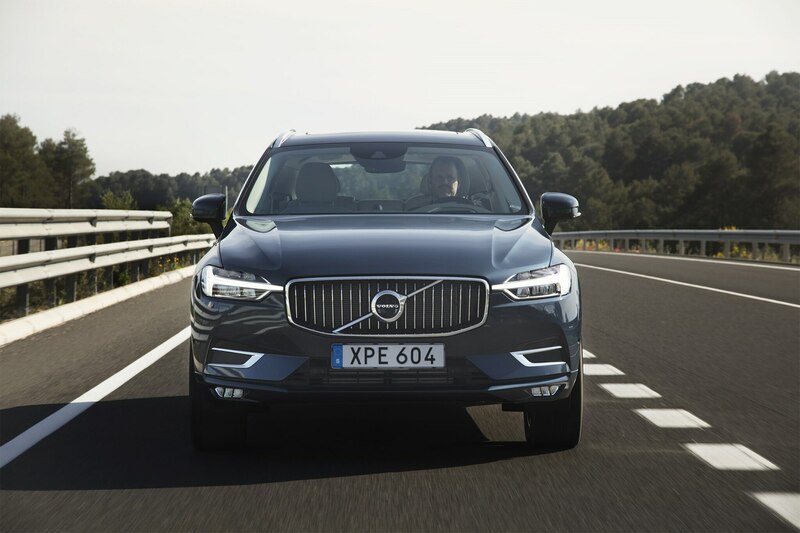 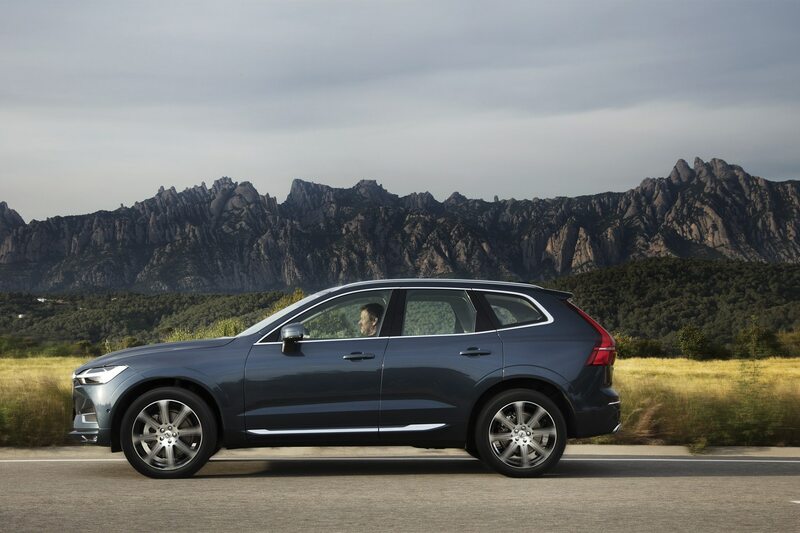 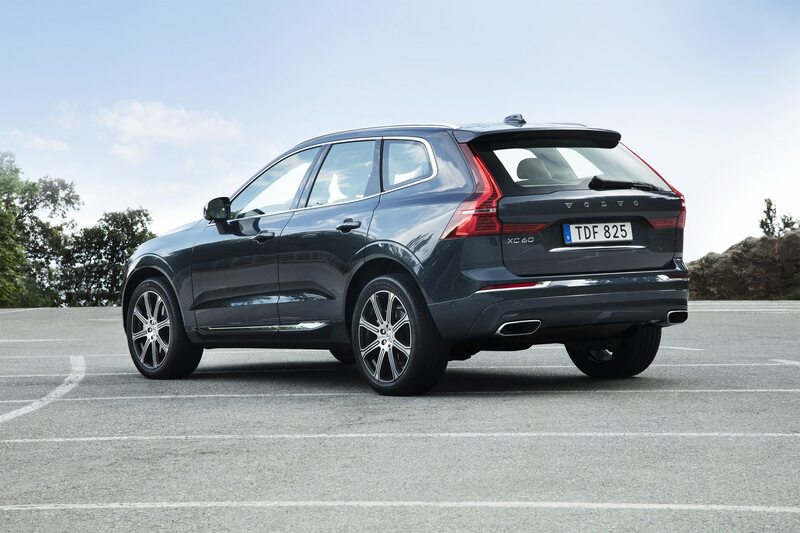 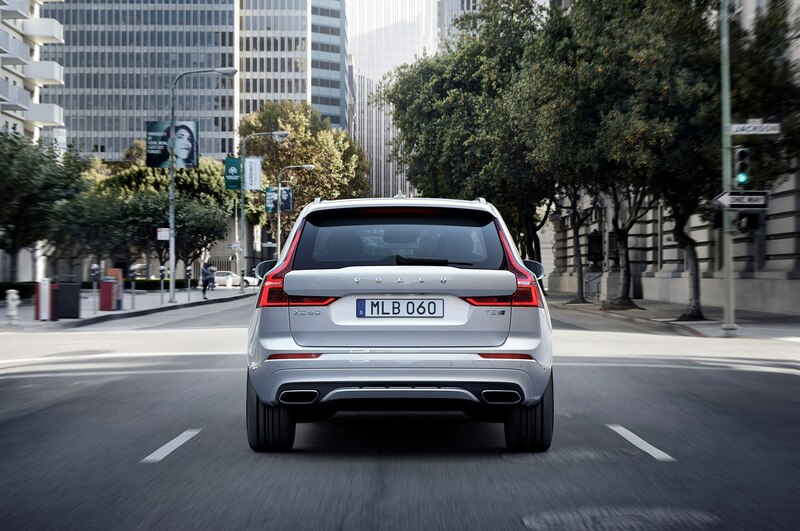 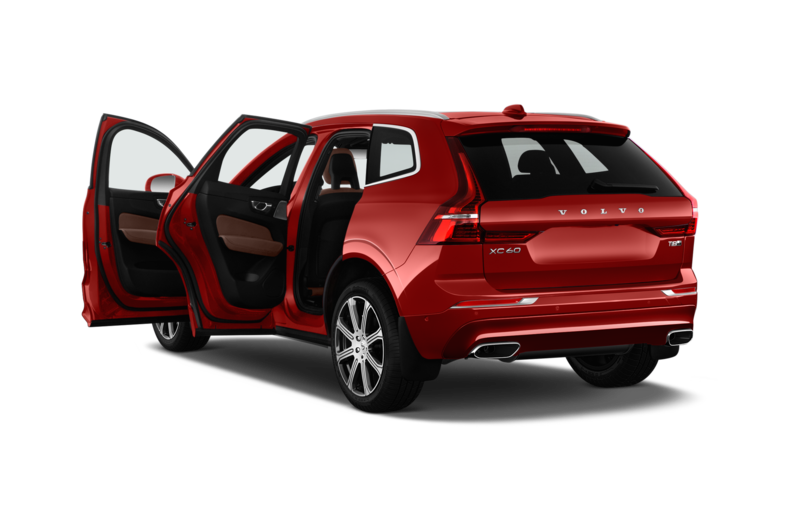 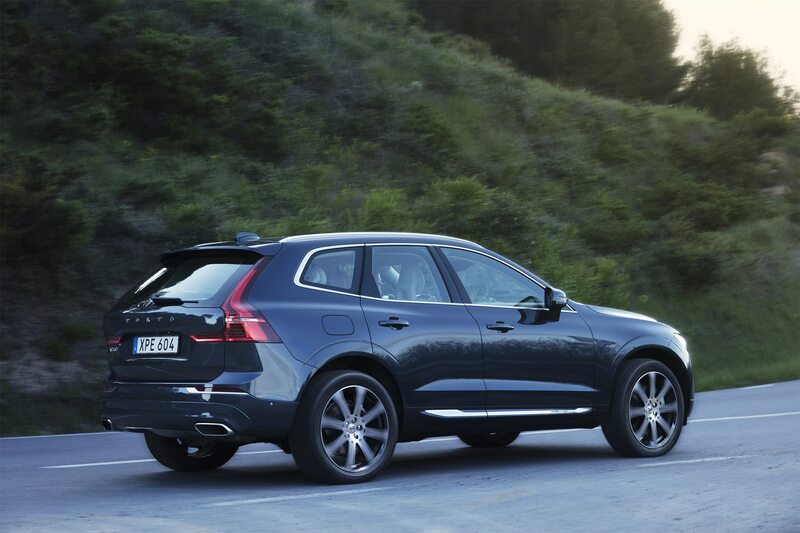 BARCELONA, Spain – The first half of this decade was not an easy one for Volvo. 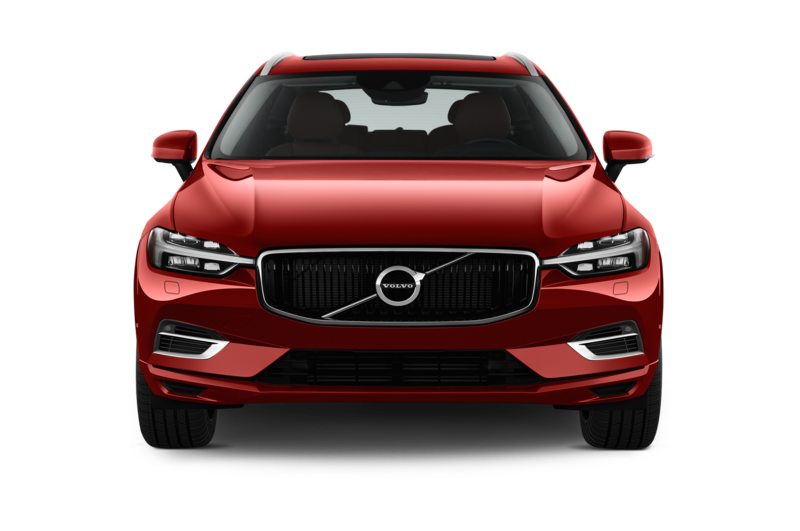 The Swedish automaker managed an ownership transition from Ford to China’s Geely, weathering a product pipeline that dried up for several years following the 2010 launch of the second-generation S60 sedan (and V60 wagon). 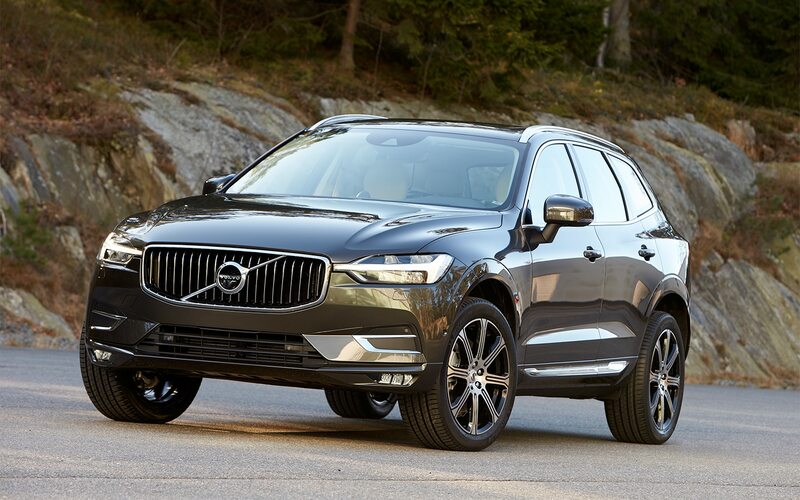 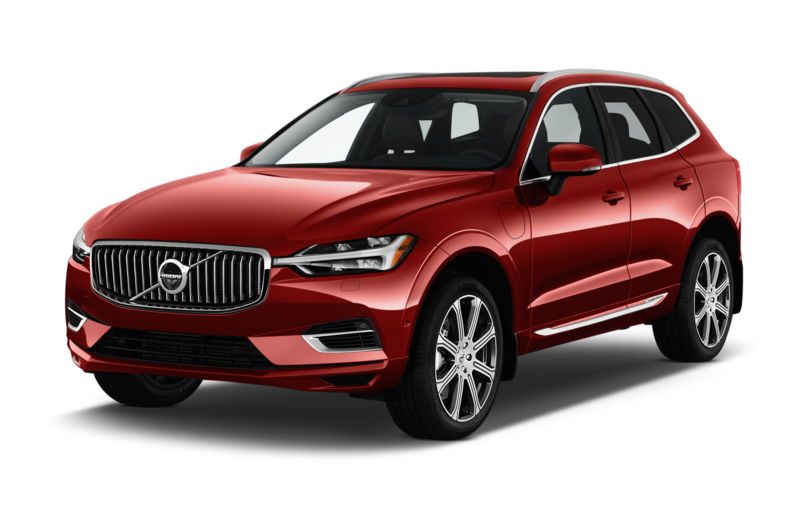 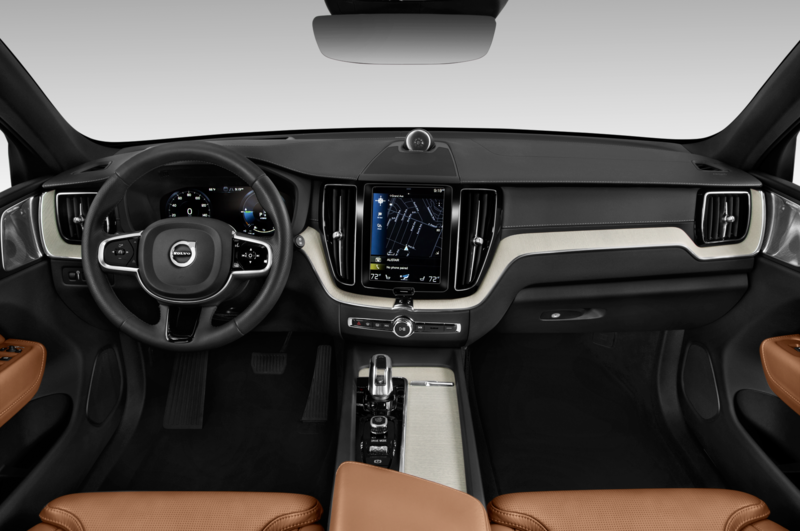 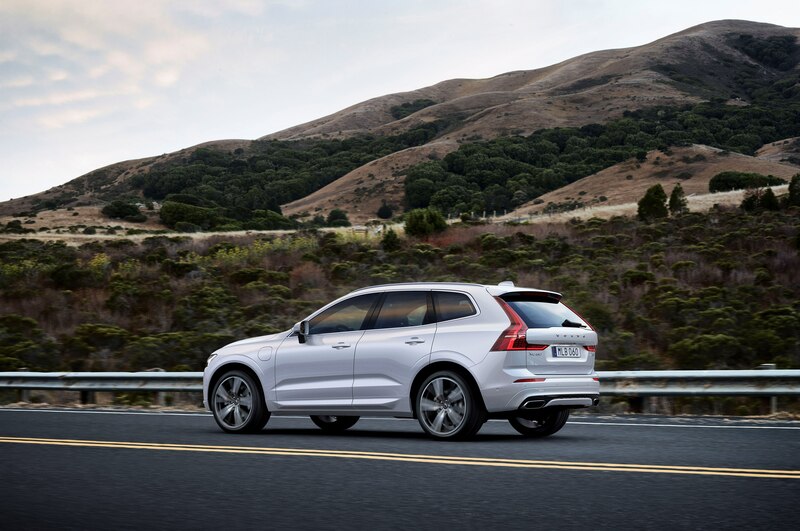 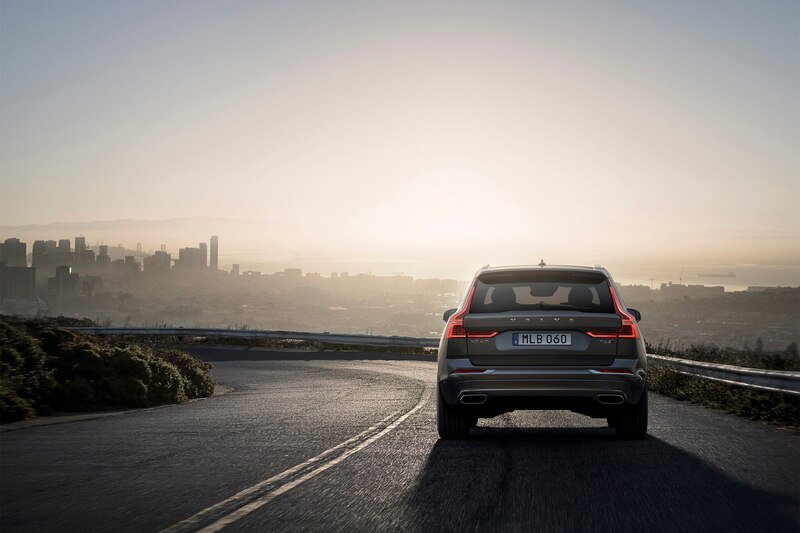 That car, along with the first-generation XC60, which remained a strong seller despite its advancing age, kept Volvo’s U.S. business quietly humming until the next generation of vehicles based on the new Scalable Product Architecture arrived. 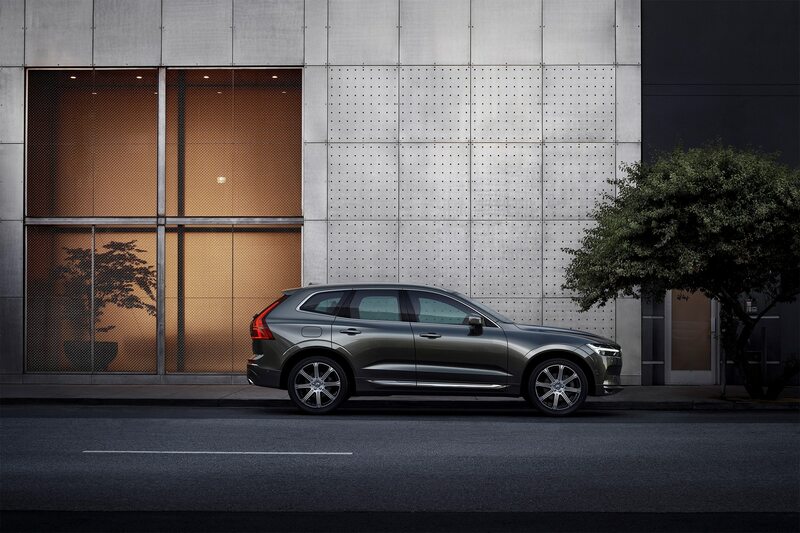 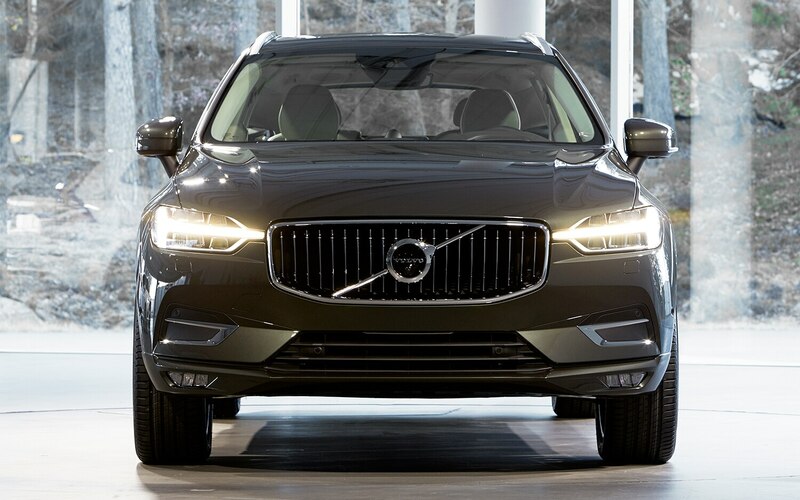 First to arrive was the second-generation XC90 SUV, which we named one of our 2016 All-Stars. 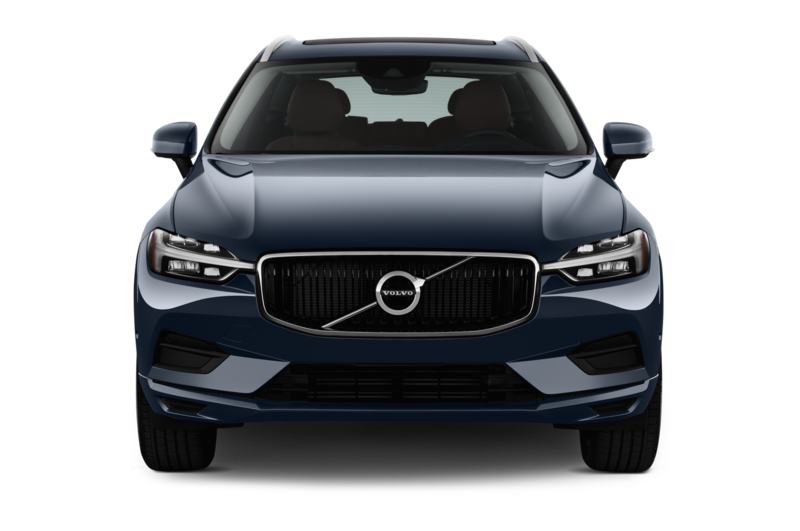 Second was the S90 sedan, which snagged a 2017 All-Stars trophy along with our 2017 Design of the Year one. 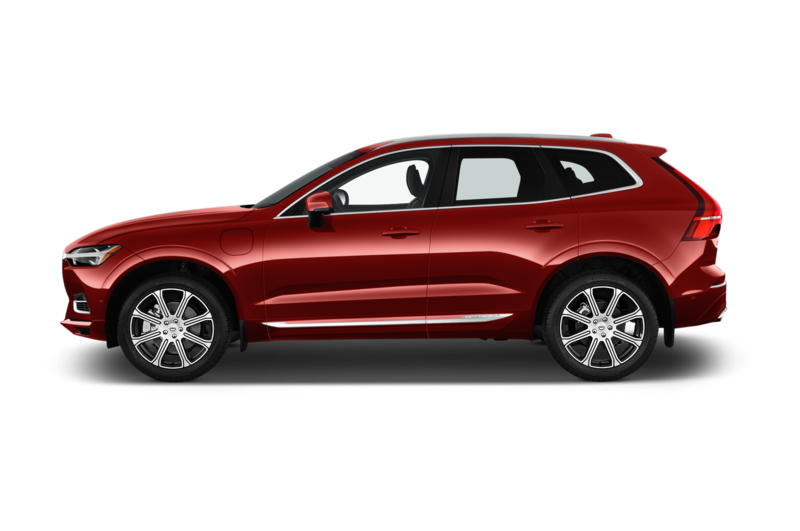 And now comes the third act, the 2018 Volvo XC60. Despite sharing the same basic platform and range of powertrains, available technologies, and basic styling cues, the XC60 cuts a much different silhouette than the larger XC90. 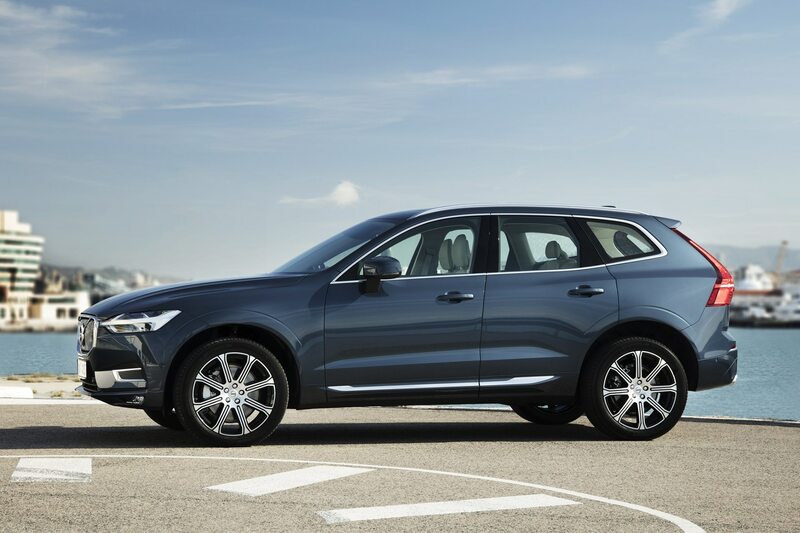 A notable difference is the XC60’s faster A-pillar, which allowed Thomas Ingenlath and his crack design cadre to visually lengthen the smaller SUV’s physically shorter hood by giving it a more tapered look. 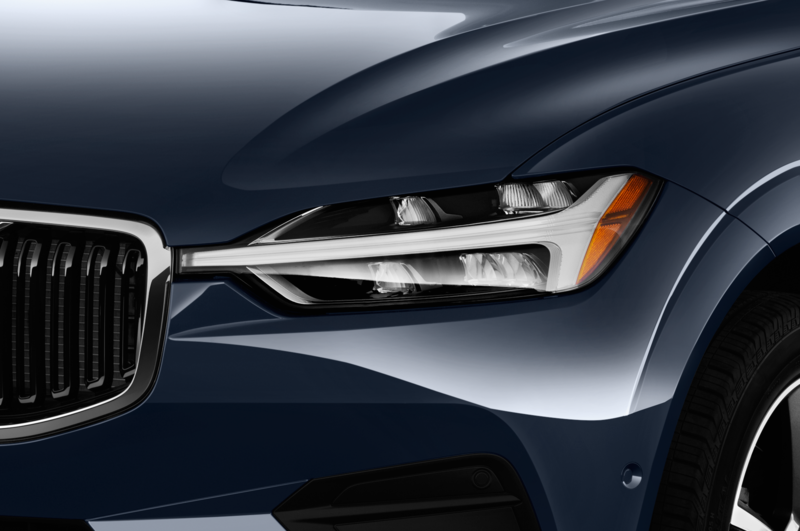 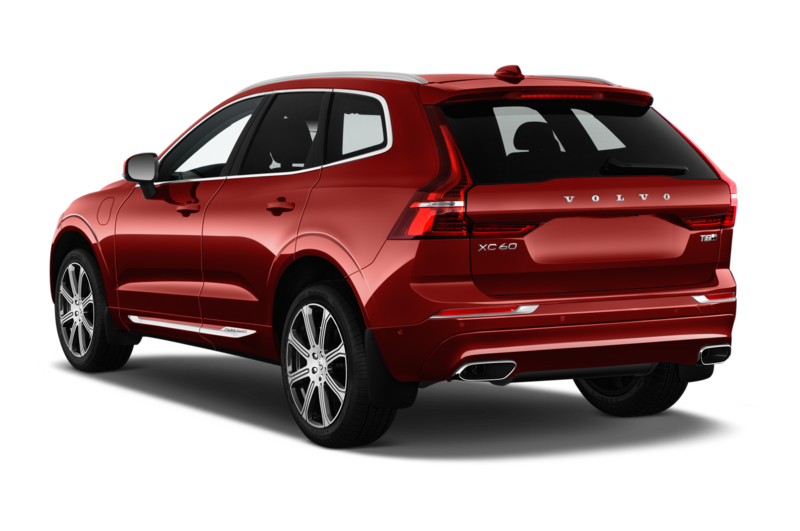 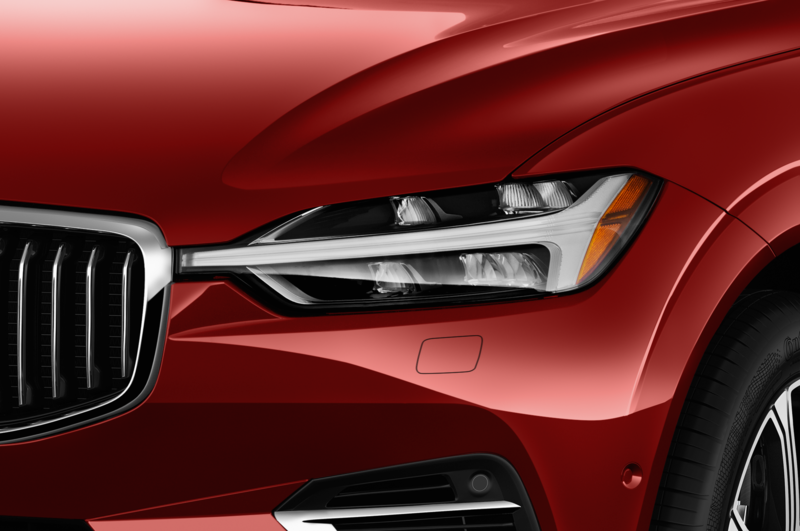 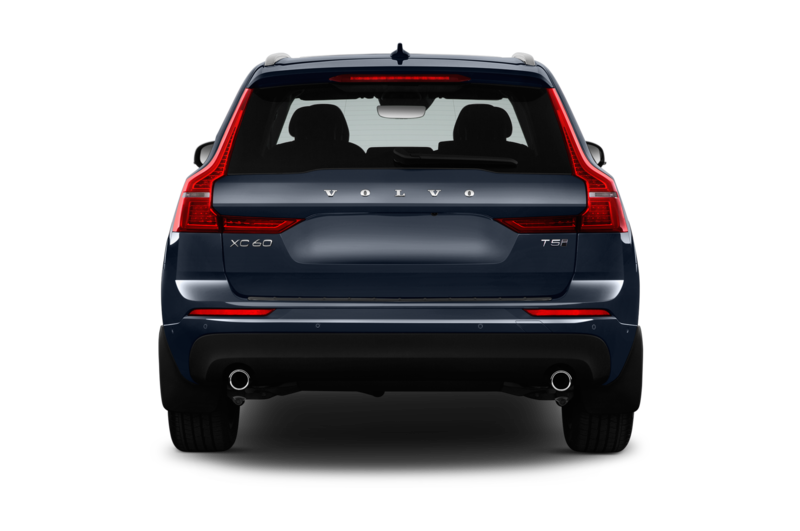 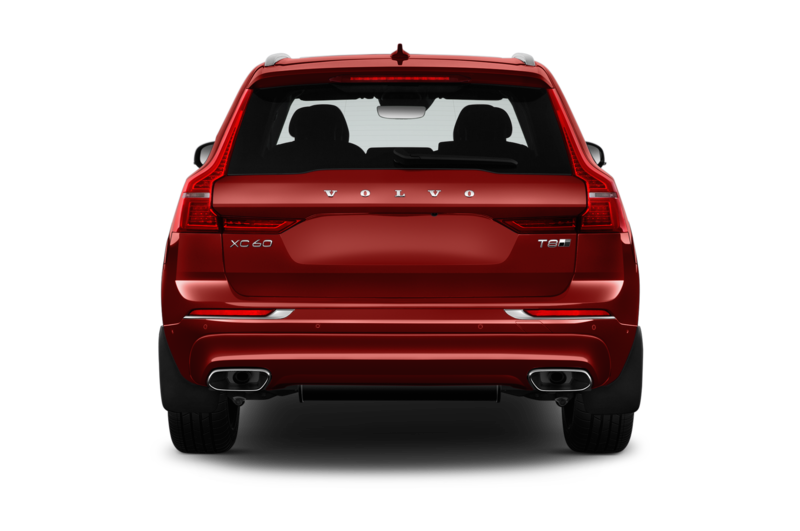 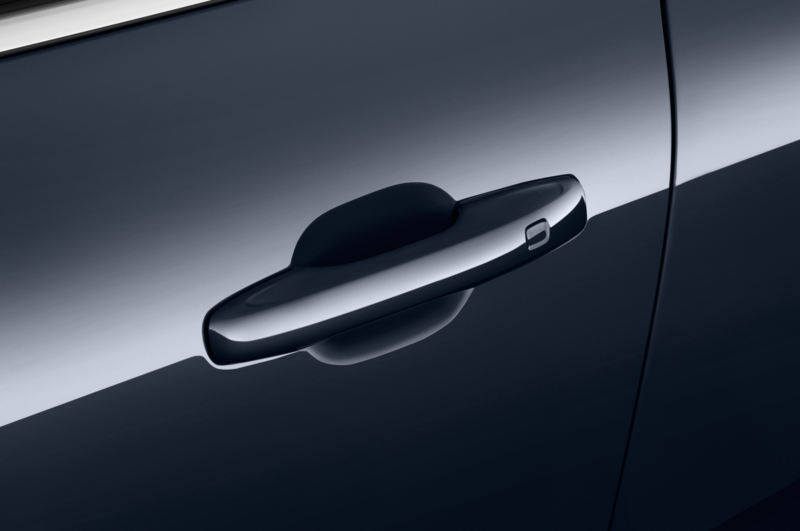 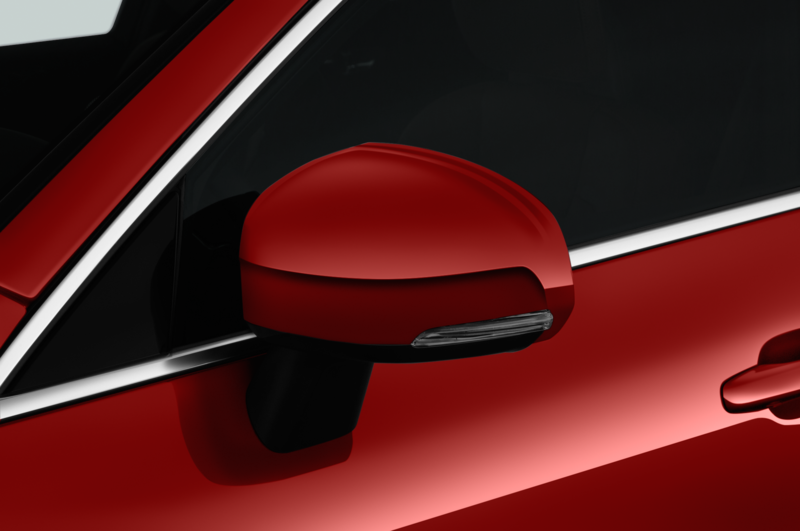 The greenhouse is just about the only thing reminiscent of the outgoing XC60, its chrome-outlined shape rising with a delicate kink above the rear fender and terminating in a stylish teardrop at the D-pillar. 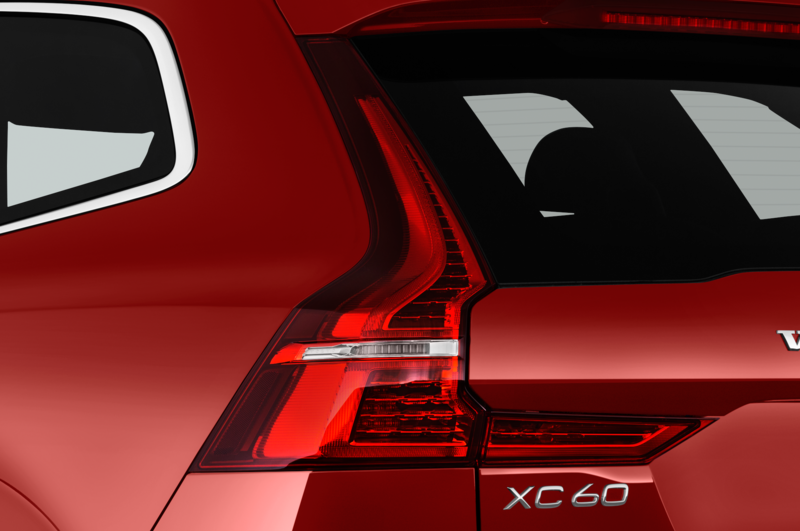 The tall taillights also remain, but are spiffed up with LEDs and a sharp inward extension that stretches across the tailgate and comes to rest on the hexagonal license-plate surround. 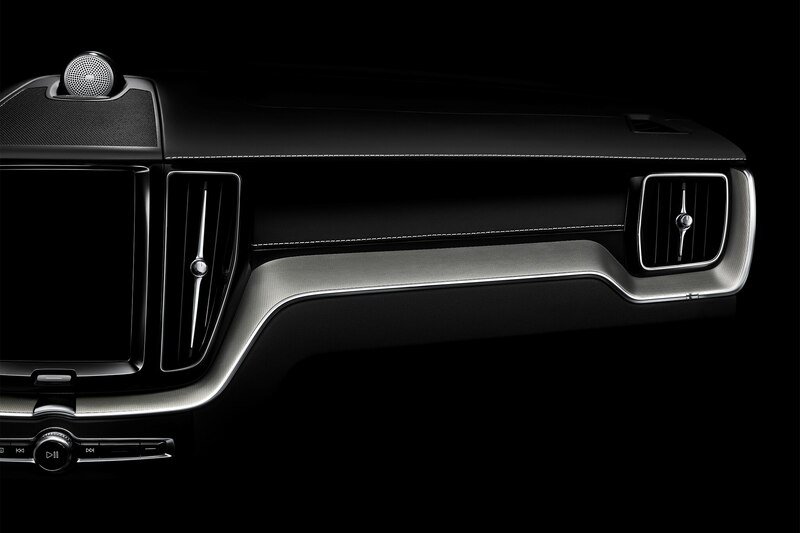 Overall it’s a simple, tasteful design that we expect will age gracefully. 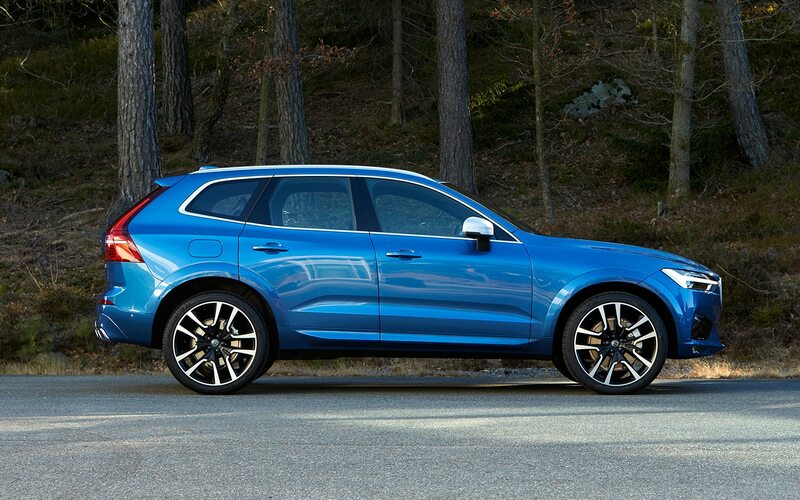 Only the Jaguar F-Pace is as handsome-looking. 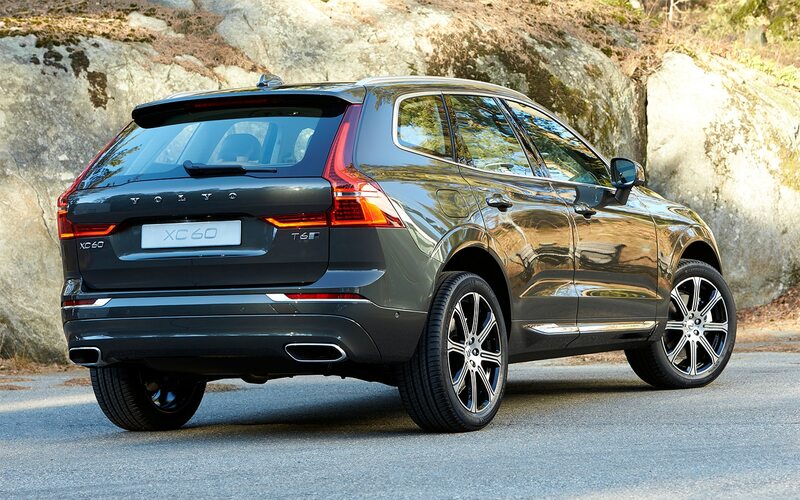 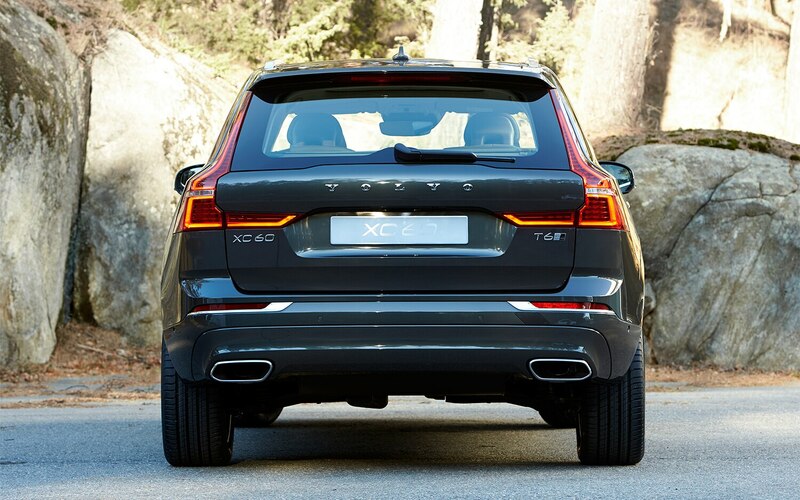 Engine choices are no surprise, as the T5, T6, and T8 variants mimic what we already know (and love) from the XC90. 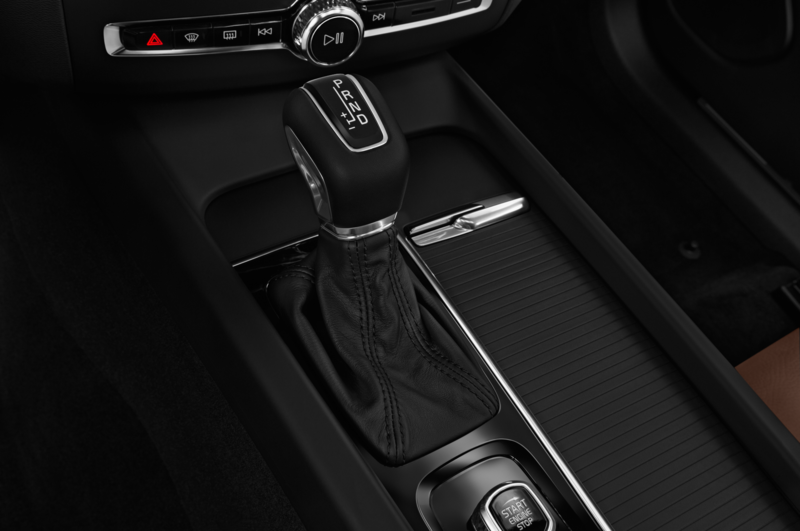 Base duty goes to the T5 and its turbocharged 2.0-liter four-cylinder, good for 250 hp and 258 lb-ft of torque — essentially on par with what all the other usual suspects, save Jaguar and its Ingenium diesel, serve up. 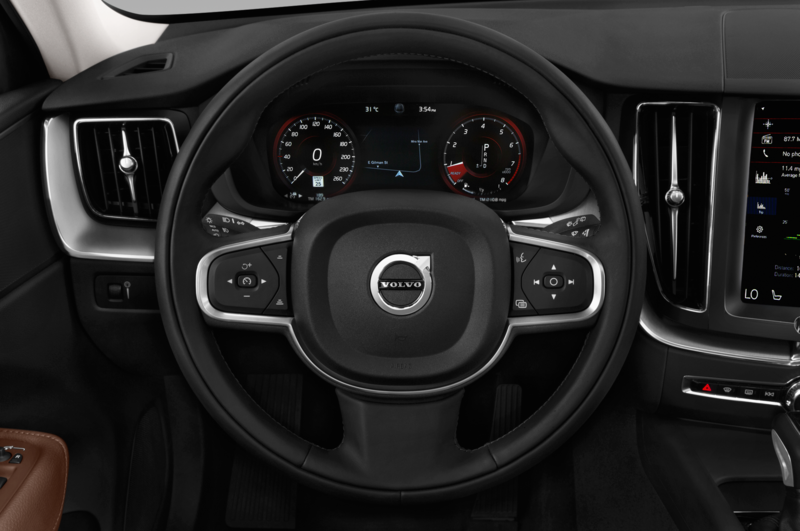 The T6 is next, with 316 hp and 295 lb-ft from its supercharged and turbocharged four-cylinder engine. 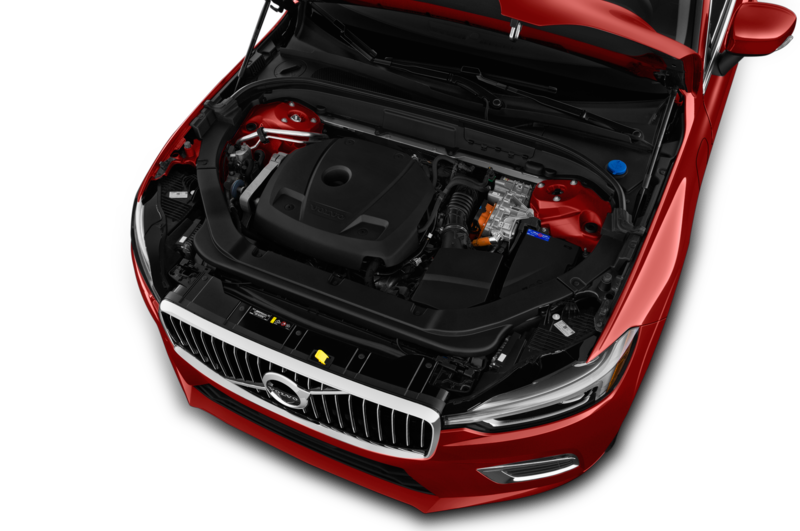 The same engine combines with a pair of electric motors and a lithium-ion battery in the T8 to make a total of 400 hp and 472 lb-ft of torque. 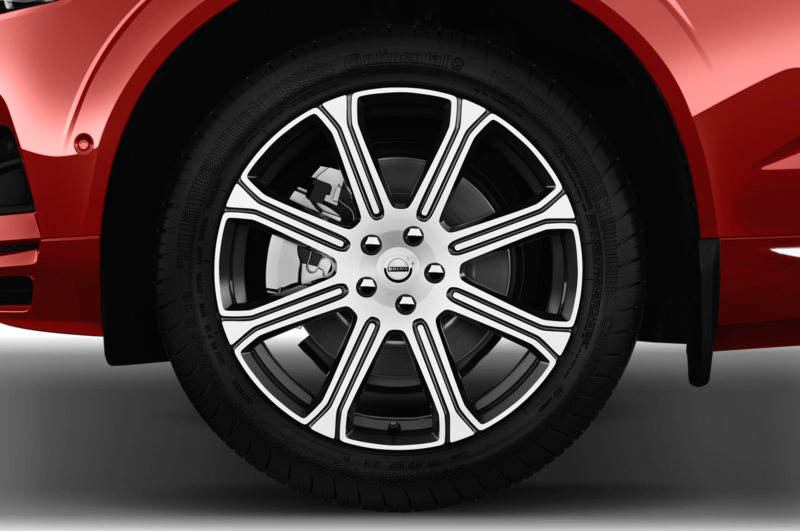 All versions will be all-wheel drive, although a front-wheel-drive T5 will be added later on. 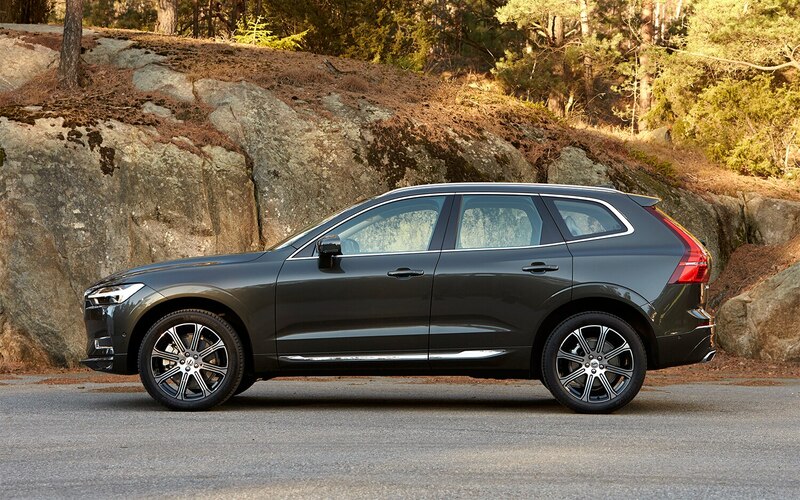 Physically, the 2018 XC60 4.3 inches wider and 3.6 inches longer than its predecessor. 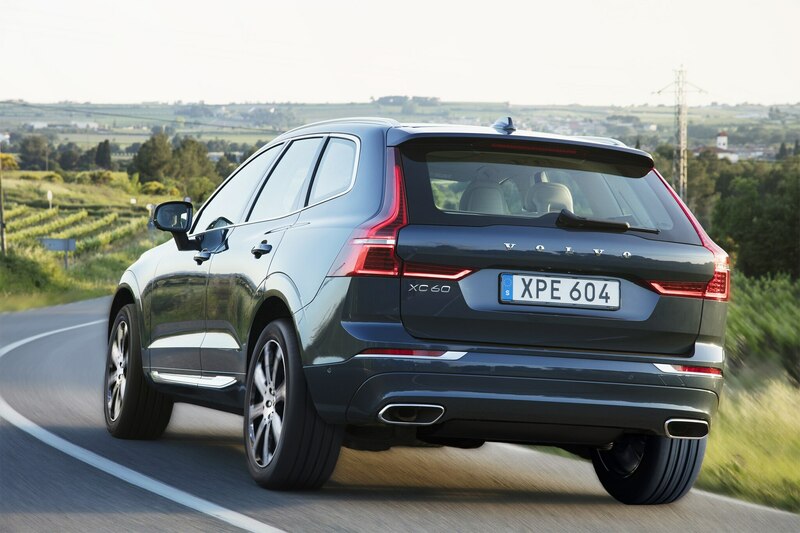 It’s also a whole 4.3 inches wider than before and just a half-inch narrower than the XC90. 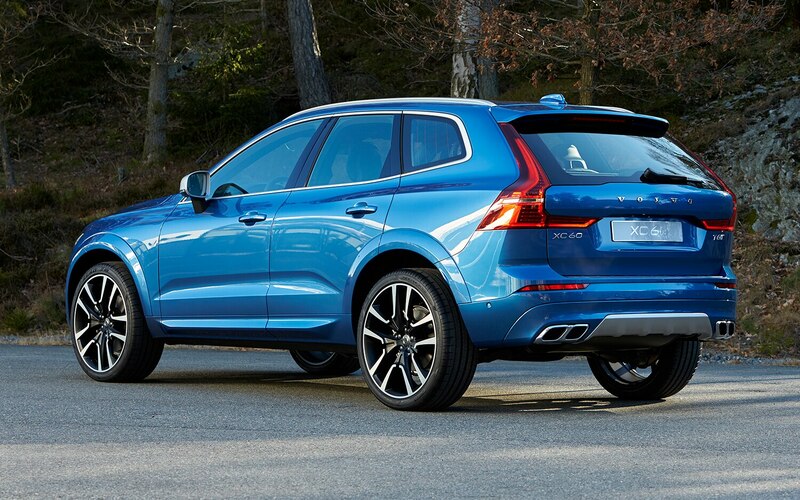 Despite these gains, the XC60 essentially weighs the same. 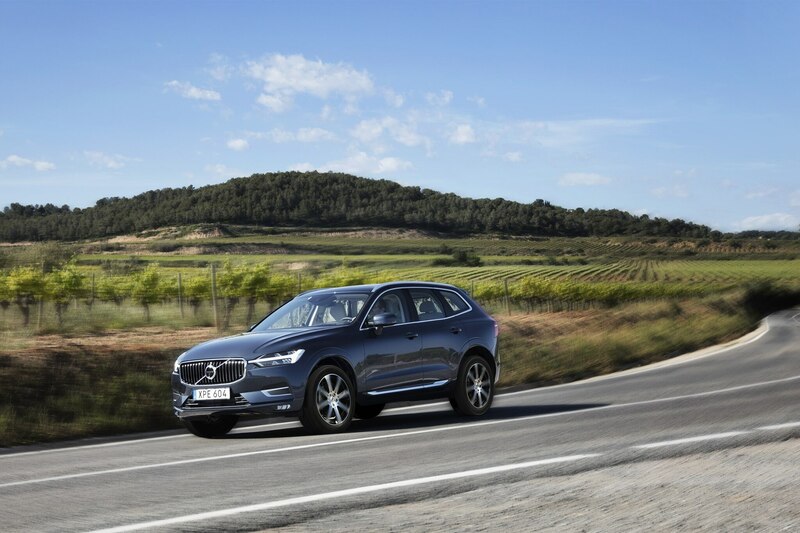 As we meander through Catalonia cheekbone-deep in cushioned leather and silver-white Scandinavian wood, semi-autonomous Pilot Assist leading the way forward confidently enough for us to admire the rows of wine and olive fields in the craggy shadow of the Montserrat mountains, the XC60 proves a spacious and comfortable place to be. 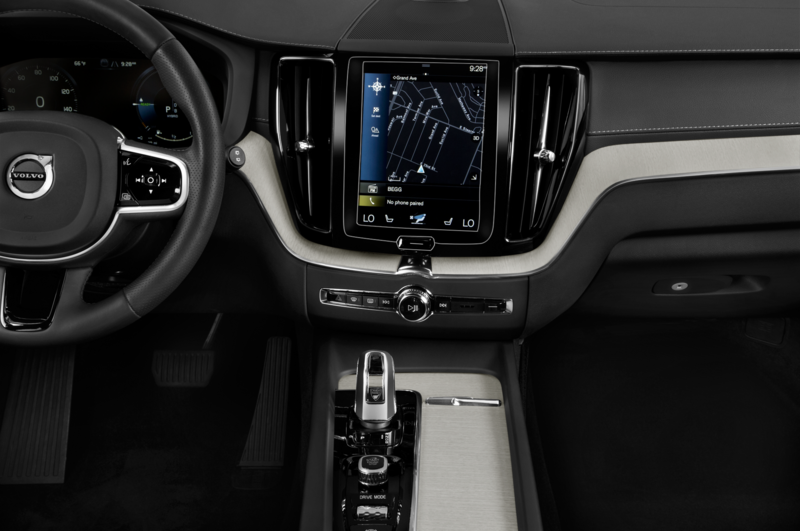 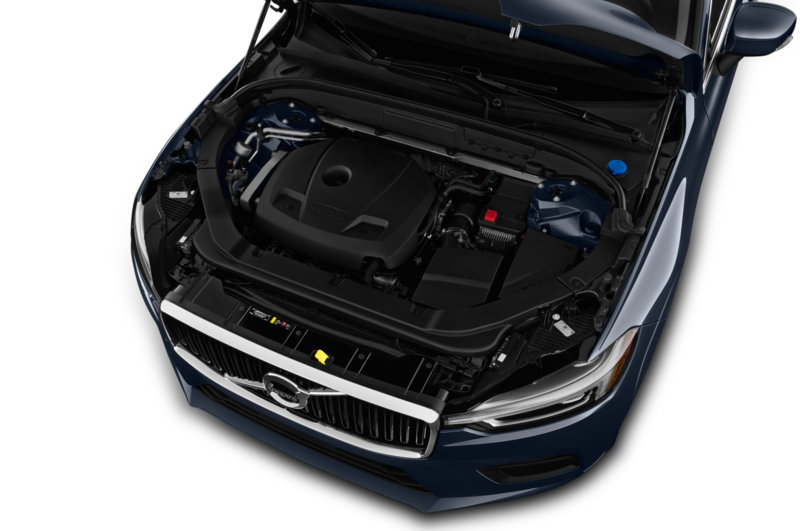 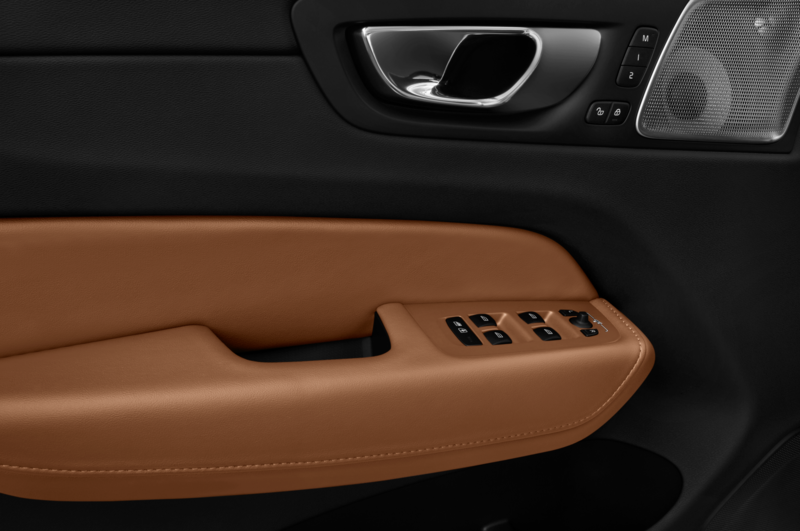 Because the new XC60’s engine bay only needs to fit a transverse-mounted four-cylinder, engineers were able to push the dashboard forward and increase passenger volume, helping create an open and airy environment, especially in the back seat. Despite the extra size, cargo capacity actually shrinks by about 4 cubic feet. 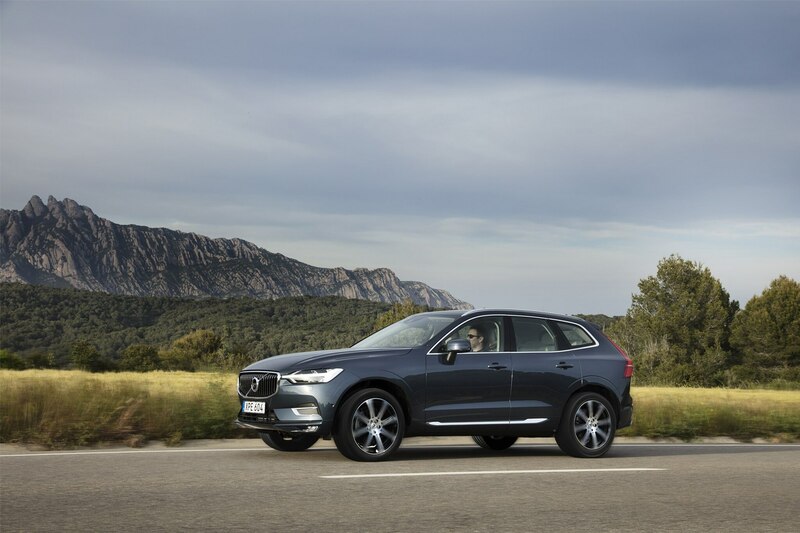 The XC60 T6 we sampled in Catalonia was able to get out of its own way with surprising eagerness, but it was the crossover’s overhauled chassis that stole the show on the sweeping highways, tight roundabouts, and cyclist-filled twisting mountain lanes outside of Barcelona. 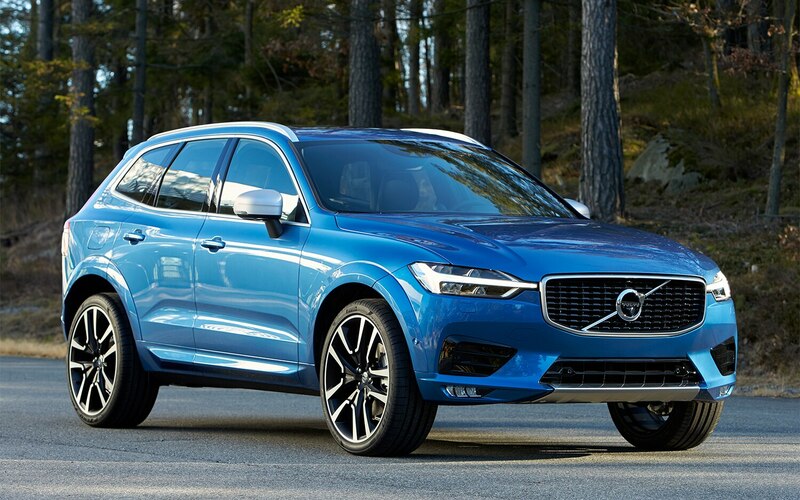 Just as Volvo chassis engineer and head of dynamics Per Ola Fuxin promised, the XC60 is decidedly more agile than the XC90 and exhibits none of the outgoing XC60’s unwanted body roll. 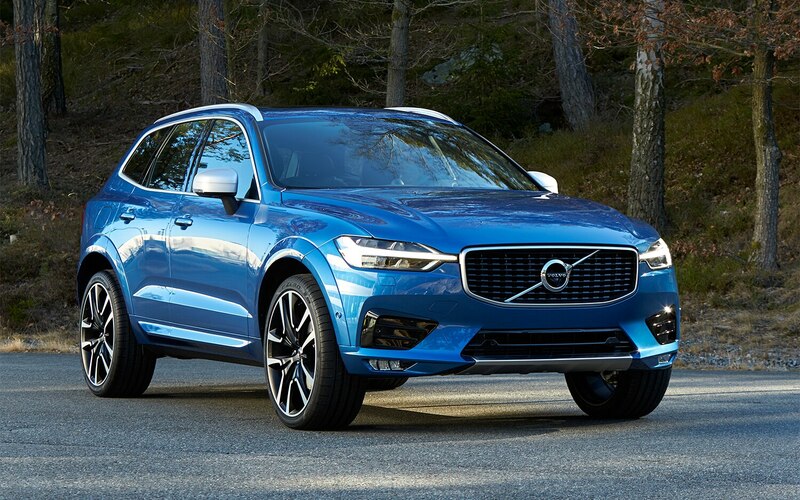 The biggest contributor here is the upgraded suspension, which uses front struts instead of control arms up front and a new aluminum composite transverse leaf spring instead of coil springs at the rear as standard. 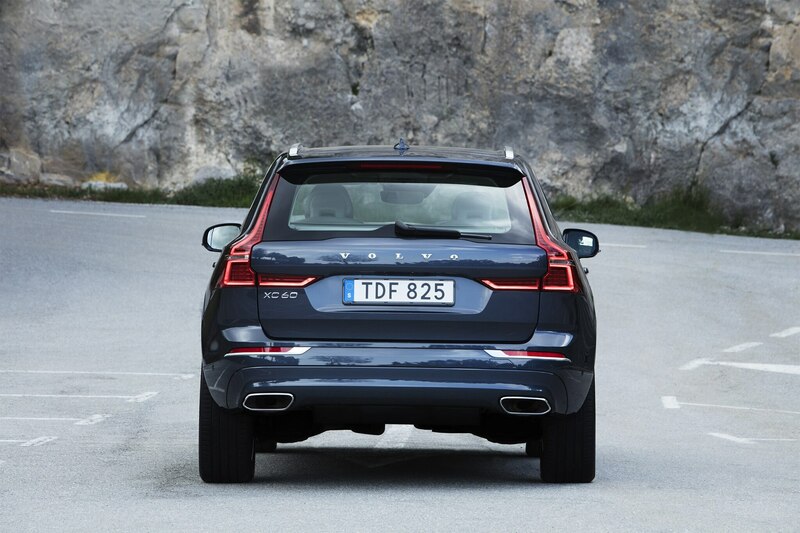 Smoothing things out further still on our tester was the optional air suspension, which can be fitted for $1,800. 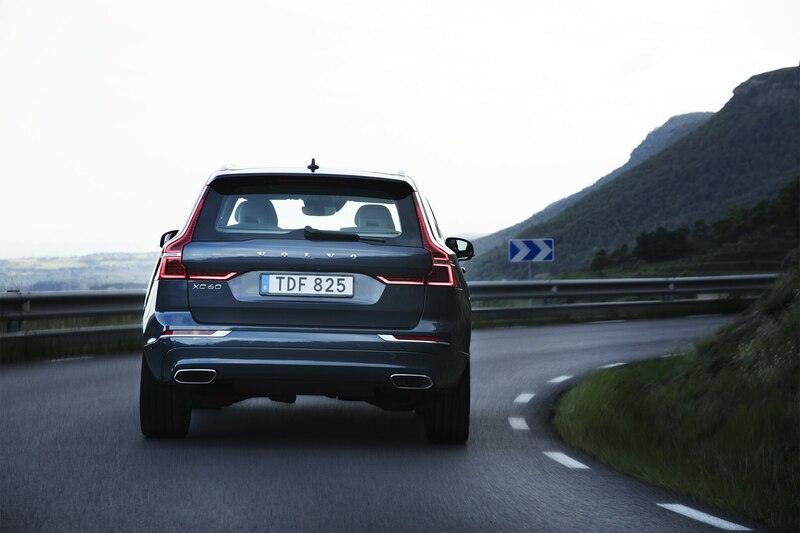 On ultra-smooth freeways, the suspension is calm and floaty, offering a feeling of control and fluidity during high-speed lane-changes. 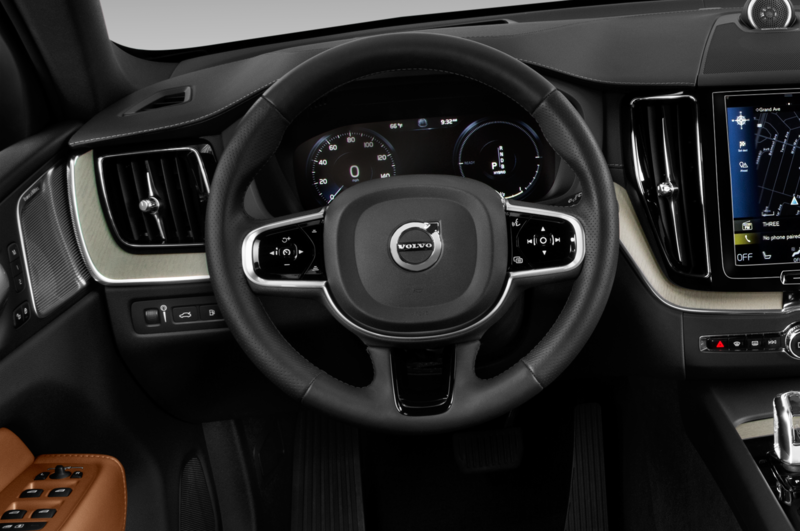 The electric power steering, driver-selectable but also variable depending on speed, takes on somewhat unnatural heft off center — nothing terribly upsetting for your average commute, but somewhat lackluster when the road turns twisty. 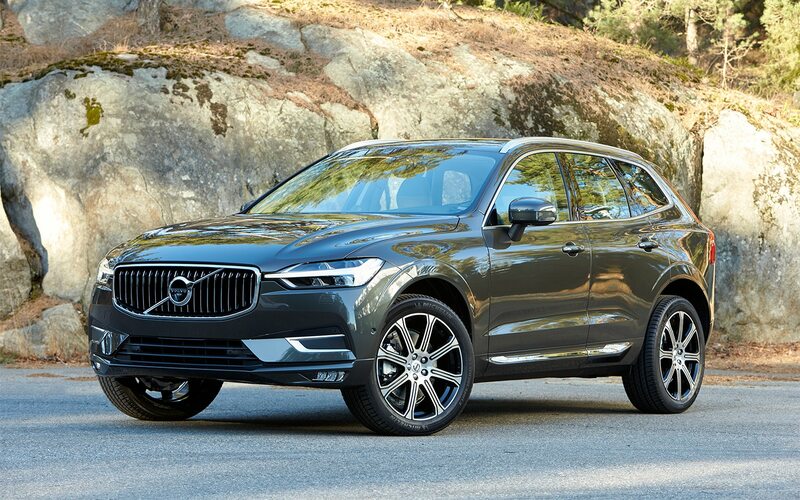 Generous front-end grip and a totally unflappable stability make it downright easy to hustle the XC60 through corners, but the very quick steering is a touch too fidgety and high-strung to really beg for hard driving in pursuit of pleasure, and could use a more progress build-up as it turns toward full lock. 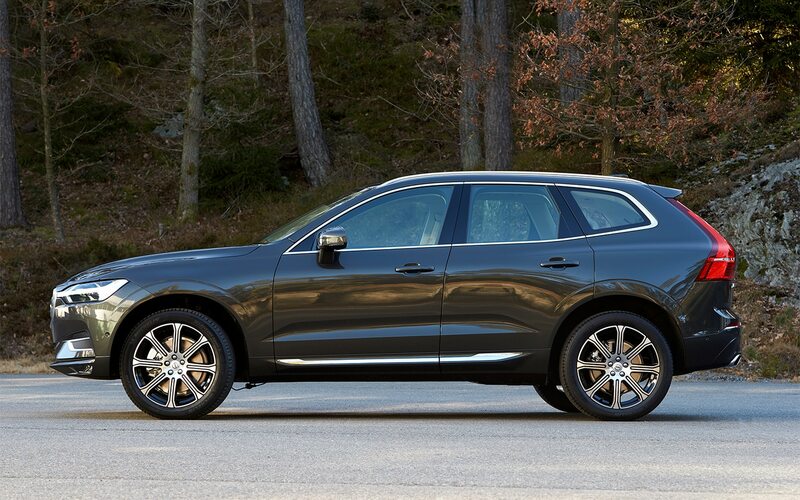 The BMW X3, Jaguar F-Pace S, and, first and foremost, the Mercedes-AMG GLC43 are more willing playmates. 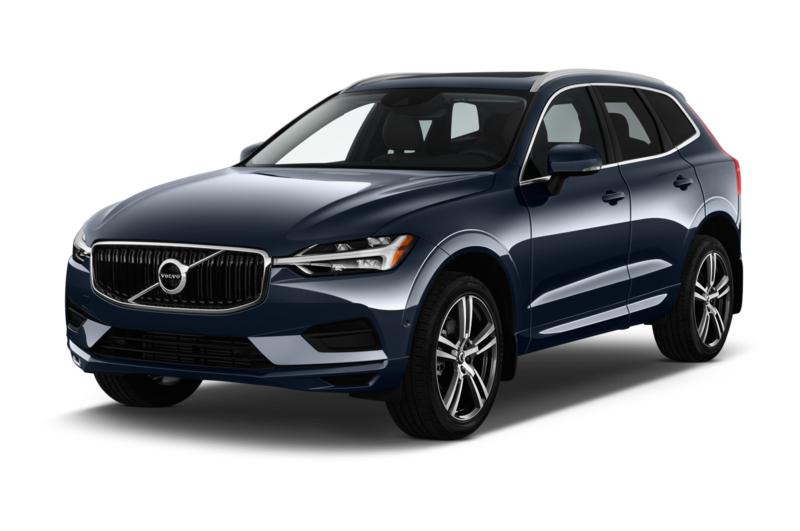 On the plus side, the Swede’s powertrain is punchy despite a little roughness under heavy provocation, and the eight-speed automatic is always in the correct gear. 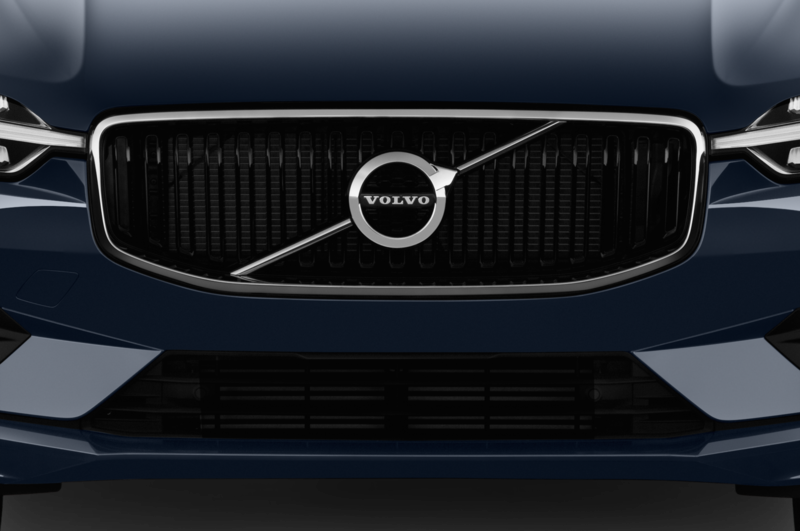 Our Inscription-trim tester came loaded with tech as well delicate Scandinavian-inspired details that would do Gunnar Asplund proud. 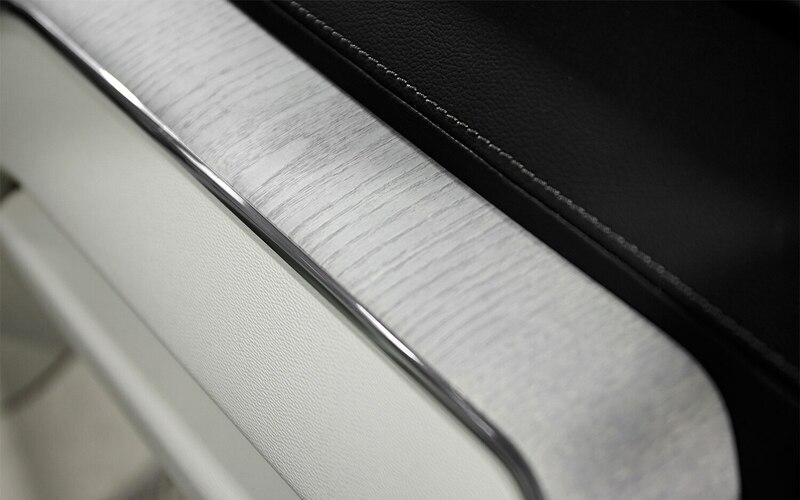 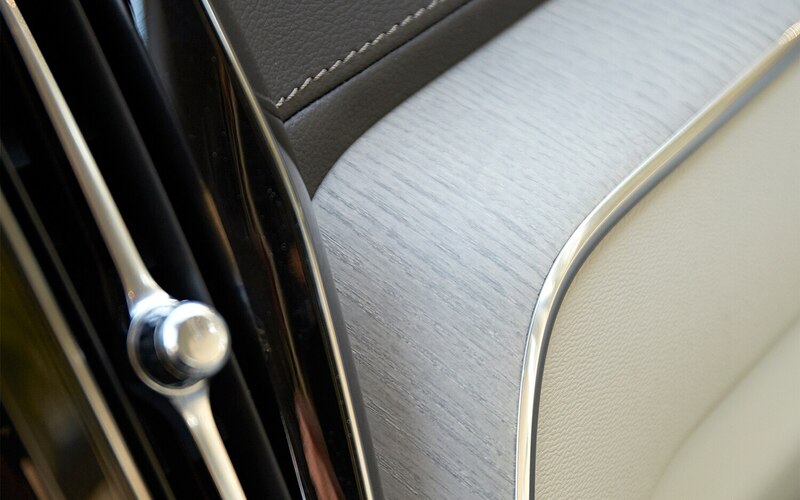 Straked silver “driftwood” inlays give a coolness to the interior, flowing across the dashboard within the gentle curves of aluminum brightwork. 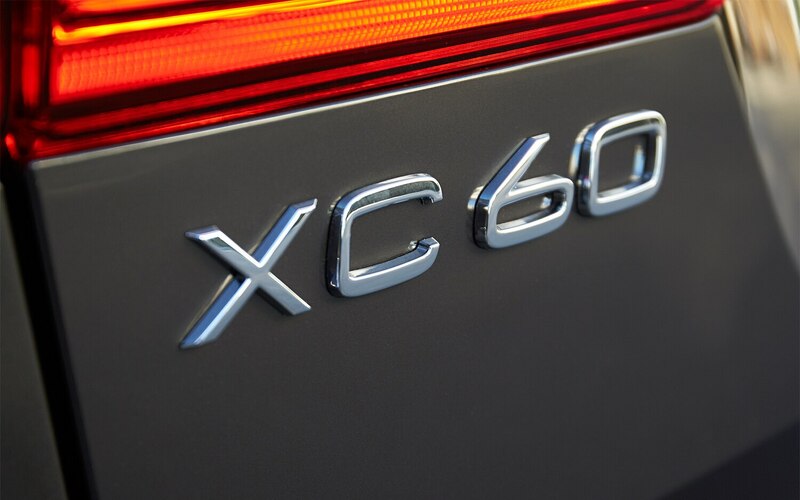 Even if the outright sumptuousness of the XC90 Inscription isn’t quite there, the effect is fully preserved. 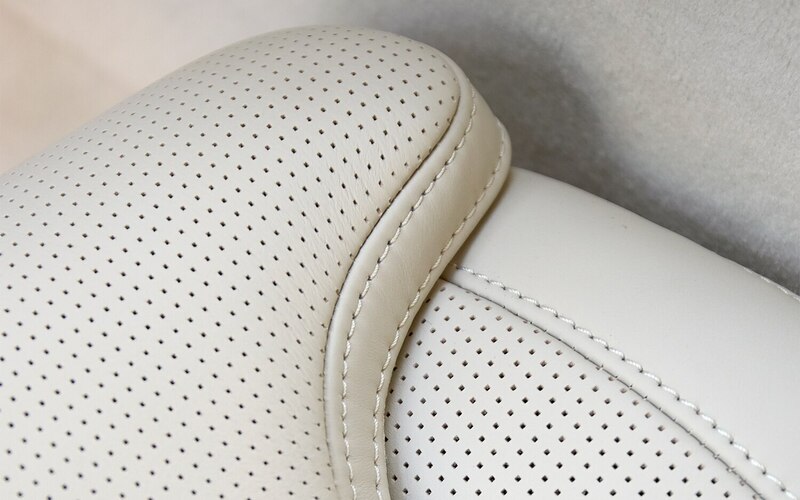 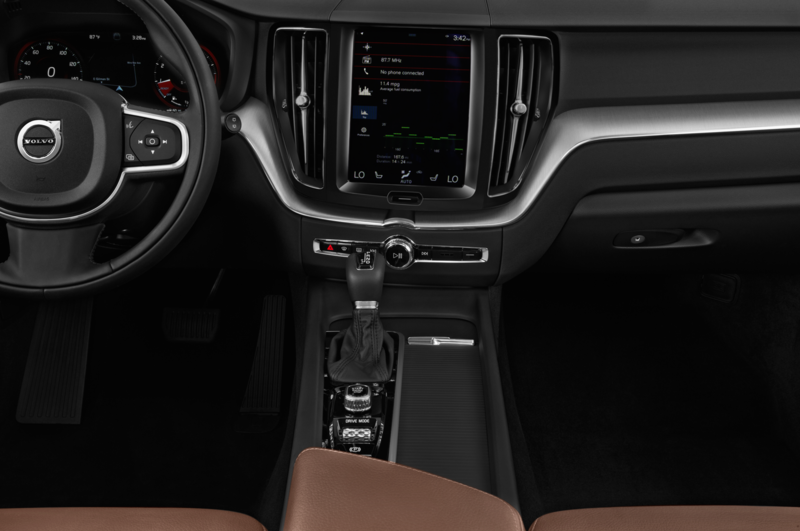 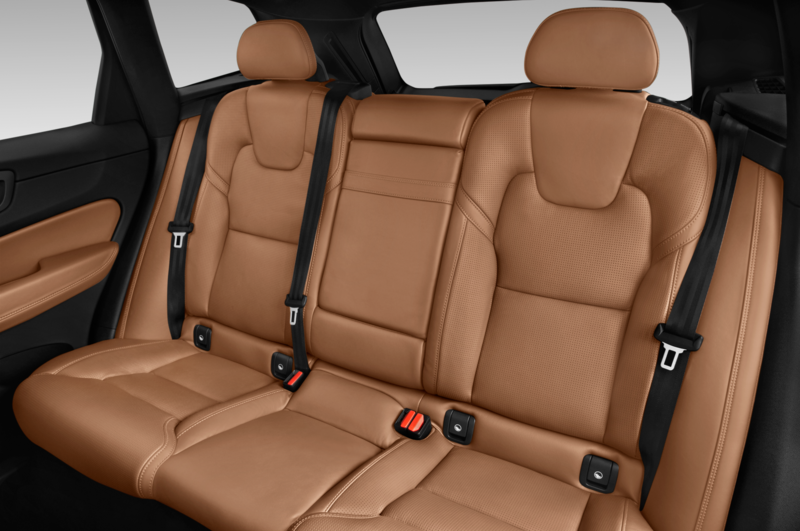 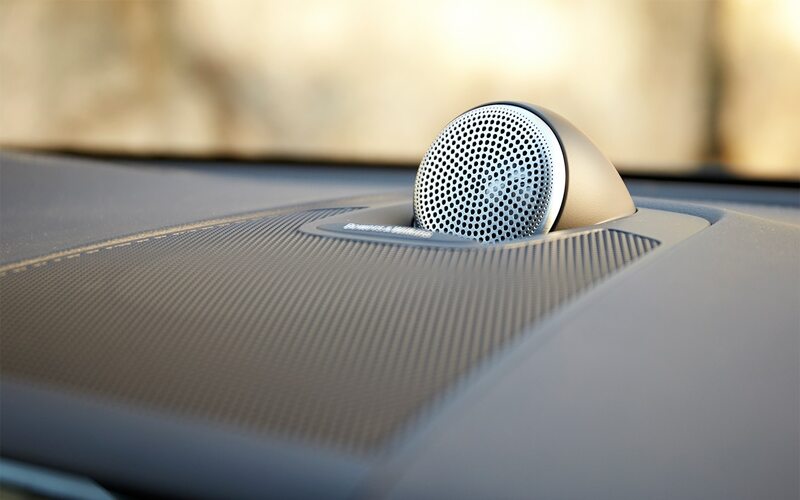 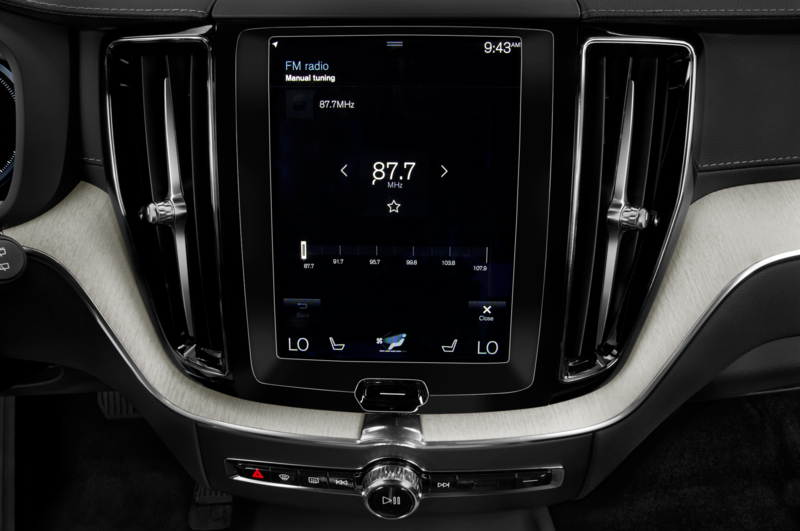 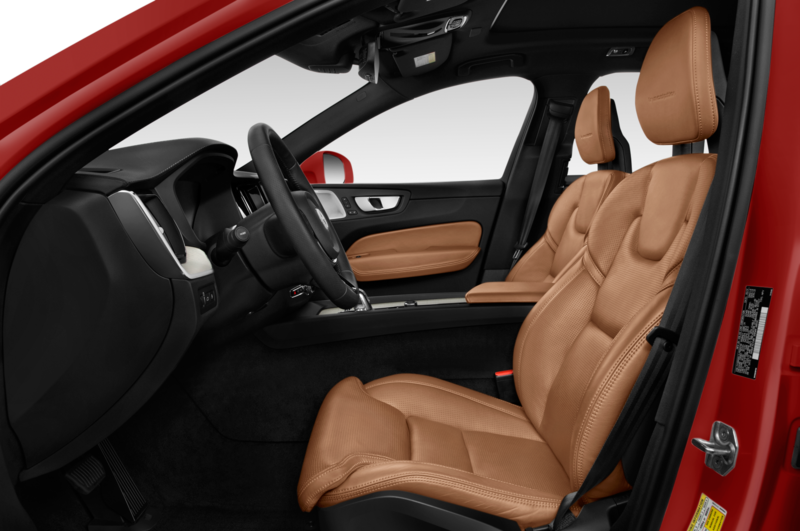 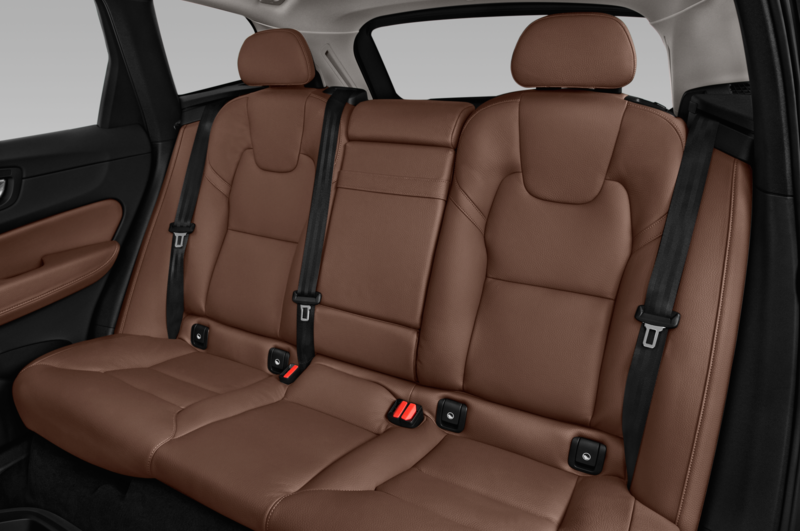 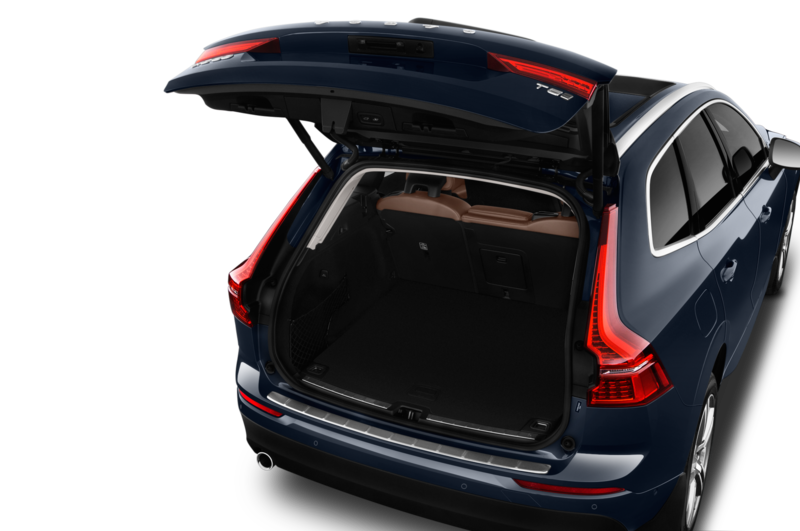 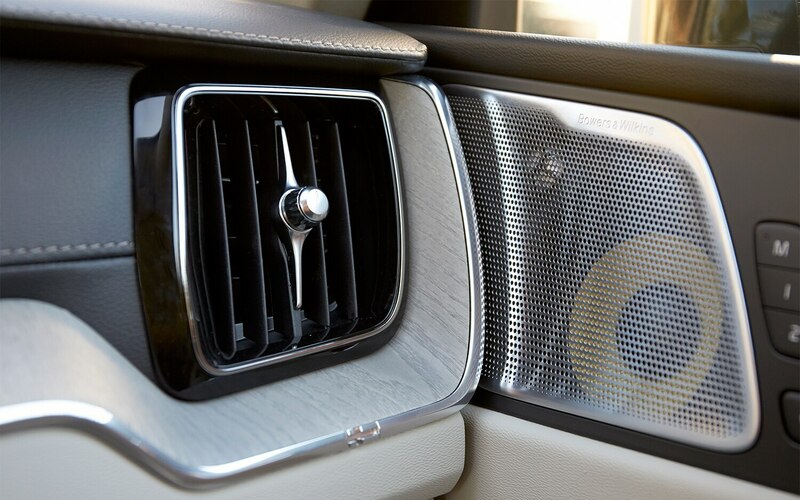 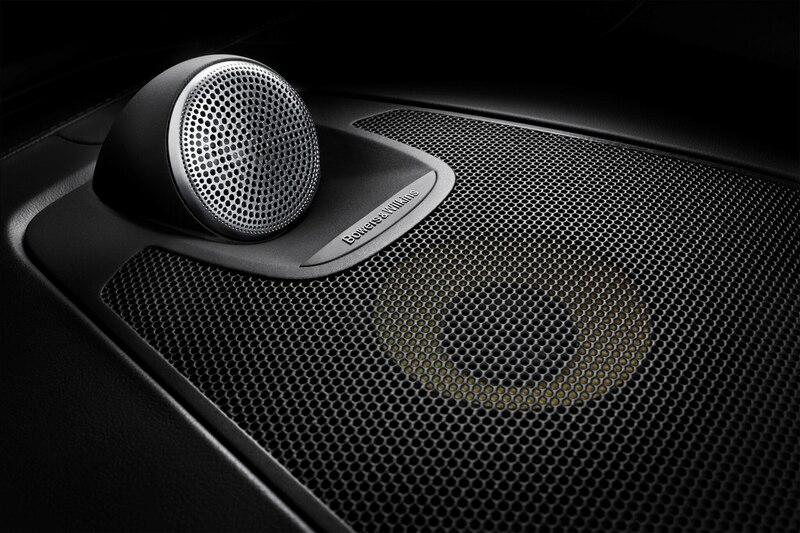 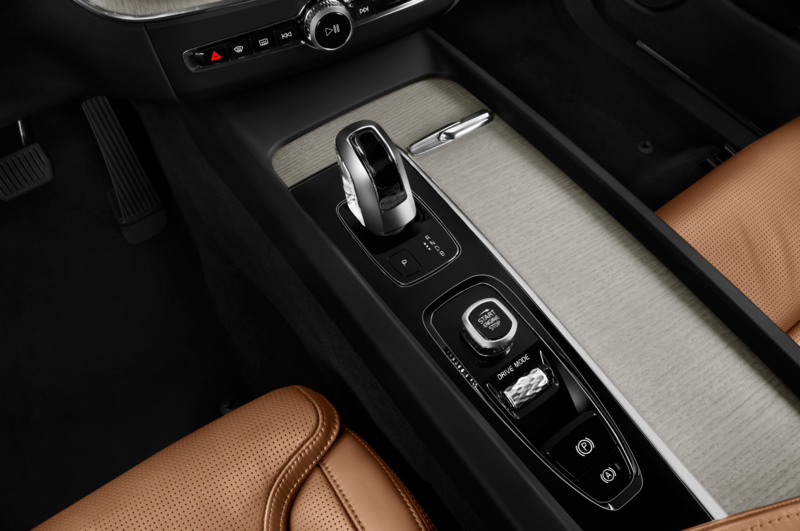 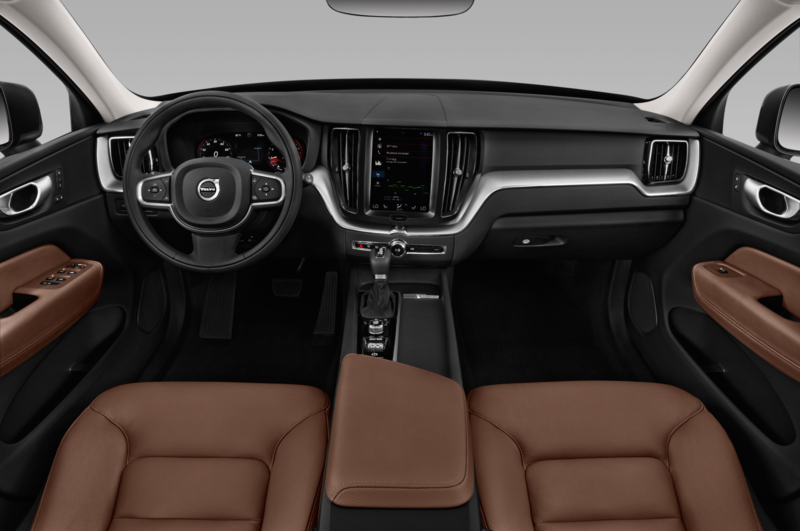 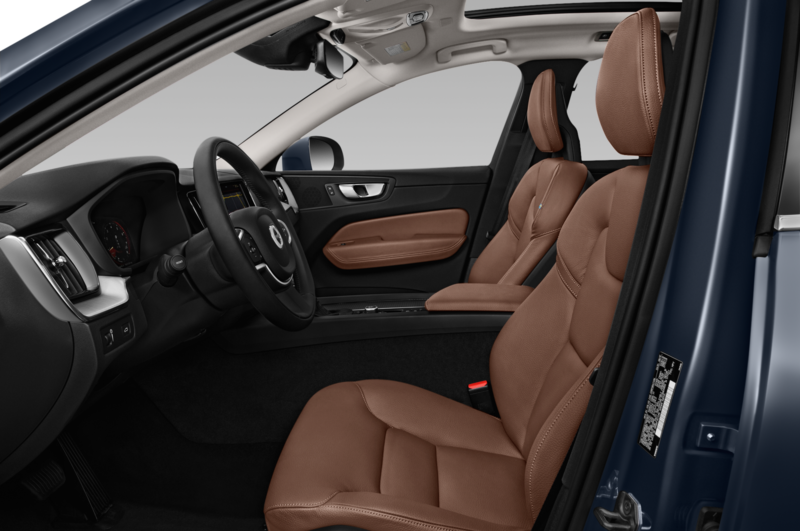 All of the major upgrades from the XC90 are available, most notably the Bowers and Wilkins sound system ($3,200) and Luxury Seat Package with nappa leather-lined heated and cooled seats with massage and a heated steering wheel ($3,000). 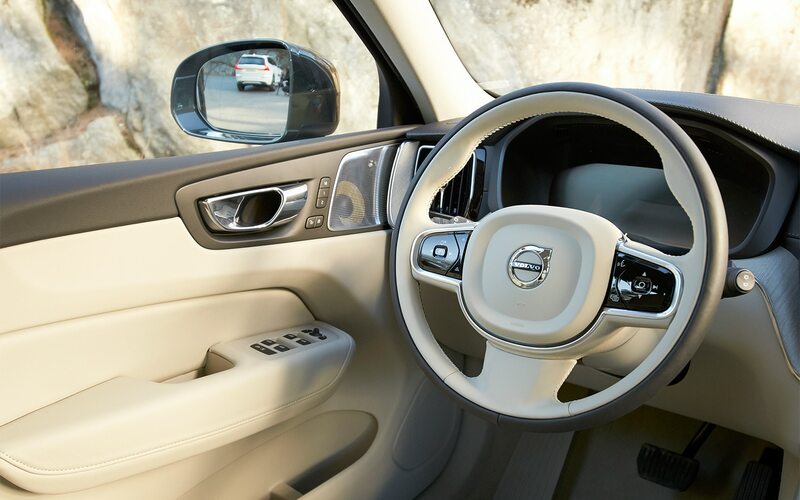 Our tester also had the Advanced Package with LED lighting, a 360-degree camera, and head-up display ($1,900); Vision Package with blind-spot detection, rear cross-traffic alert, and park assist ($1,100); and Convenience Package with adaptive cruise control, keyless entry, and heated wiper blades that distribute cleaning fluid from the arm directly to the blade, instead of spraying on the windshield and blurring the view ($3,000). 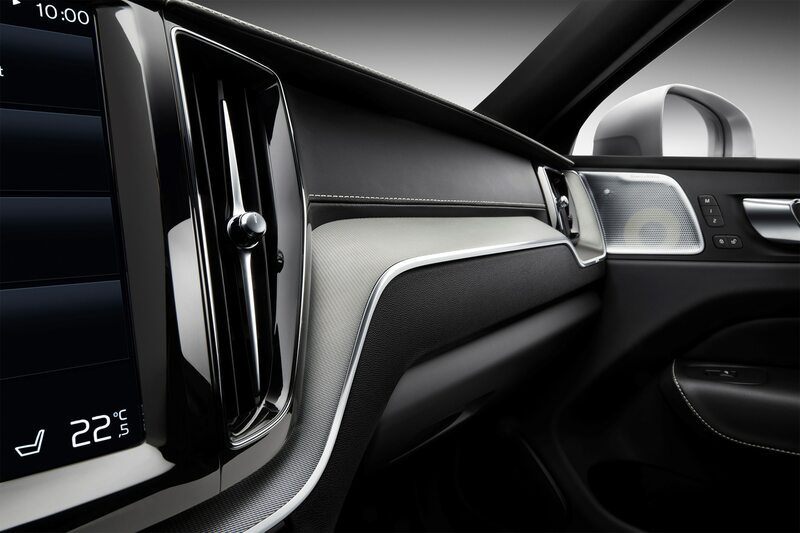 The take rate for the XC90 Inscription has exceeded Volvo’s anticipated 40-percent mark that the company has had to reevaluate how it allocates production to meet customer demand. 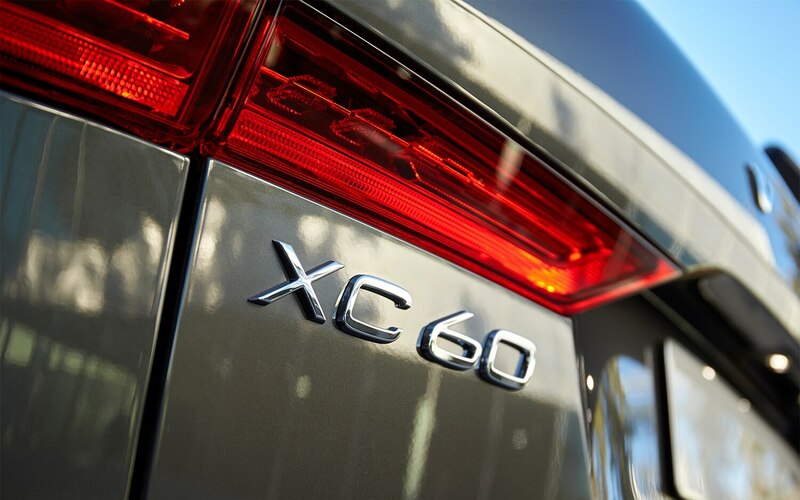 XC60 customers, however, are a different breed comprised mainly of young families or empty-nesters rather than established families in the thick of hockey practice and movie-theater runs, so it’s not yet clear if the Inscription have the same popularity. 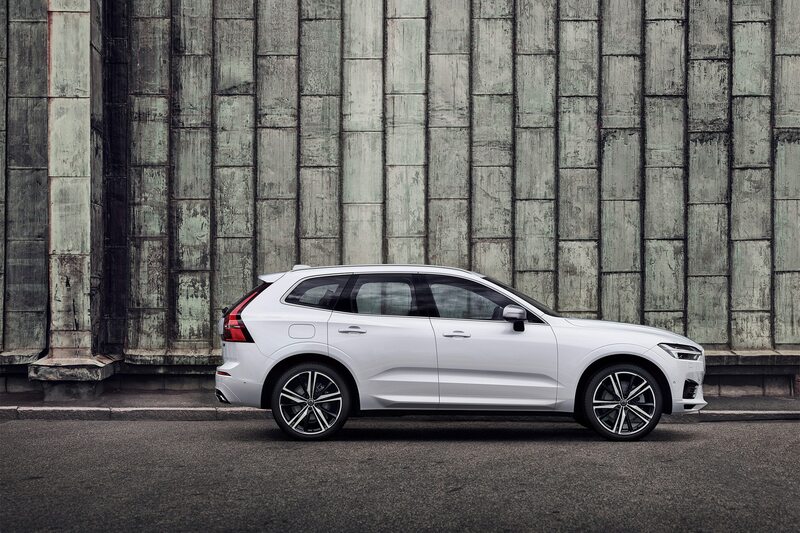 Nevertheless, this unique display of Scandinavian elegance that might be the XC60’s biggest selling point compared with the sober Audi Q5 or the more exuberant Mercedes-Benz GLC. Whether the base Momentum is more within the budget, or the sporty R-Design is just too fly to let slip, there’s a good case for each trim and enough packages to spec out your XC60 as desired. 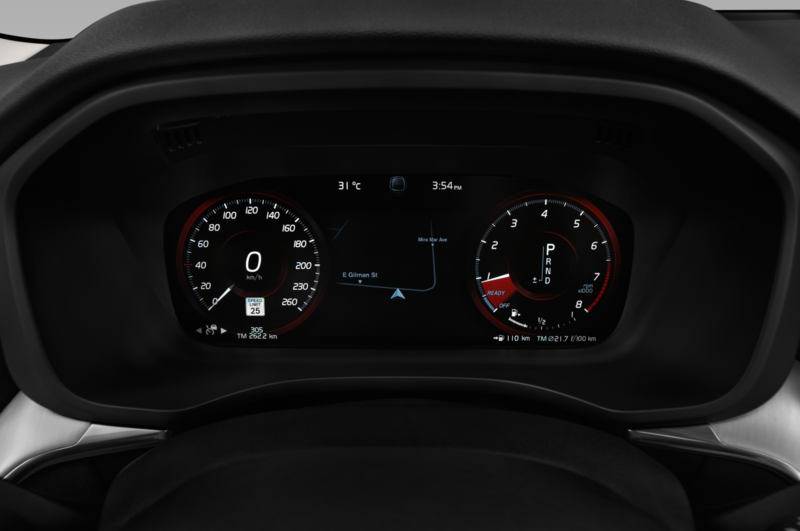 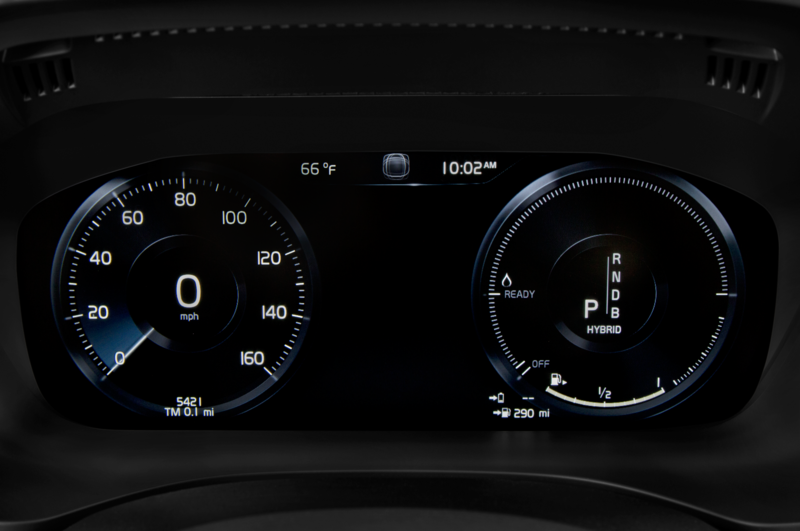 Even non-Inscription models offer key features like the vertical 8.9-inch Sensus touchscreen, which has been mildly updated with larger text in key areas and some simplified interfaces according to customer feedback. 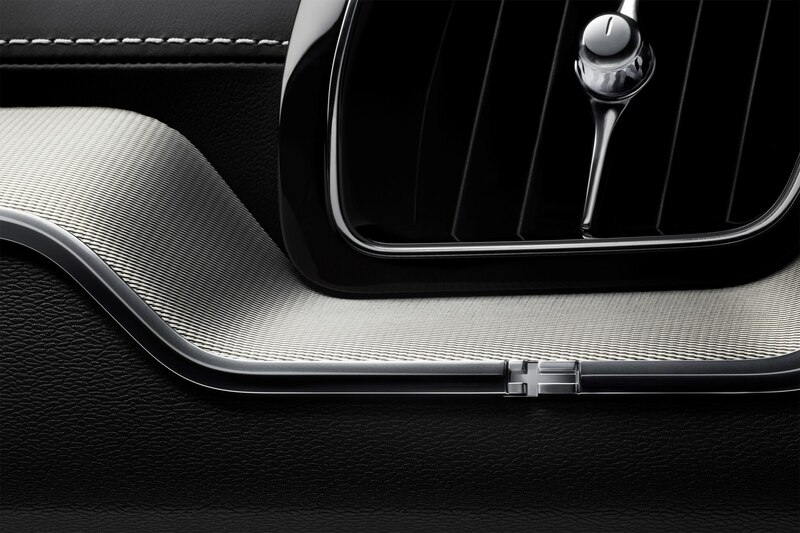 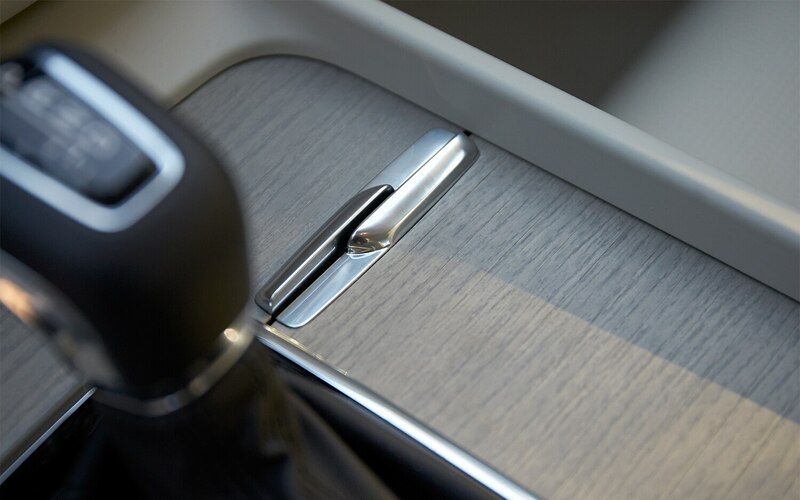 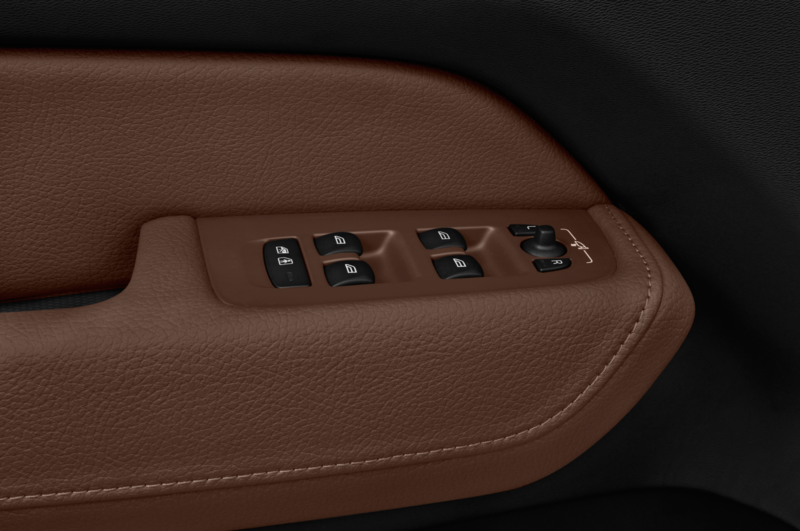 Another clever feature are the slots underneath the rear seats for stowing tablets, so they don’t become flying projectiles in a crash. 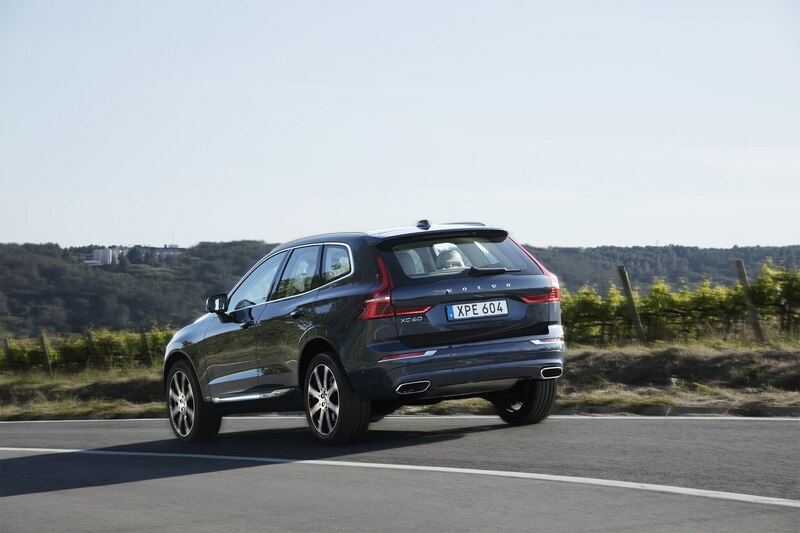 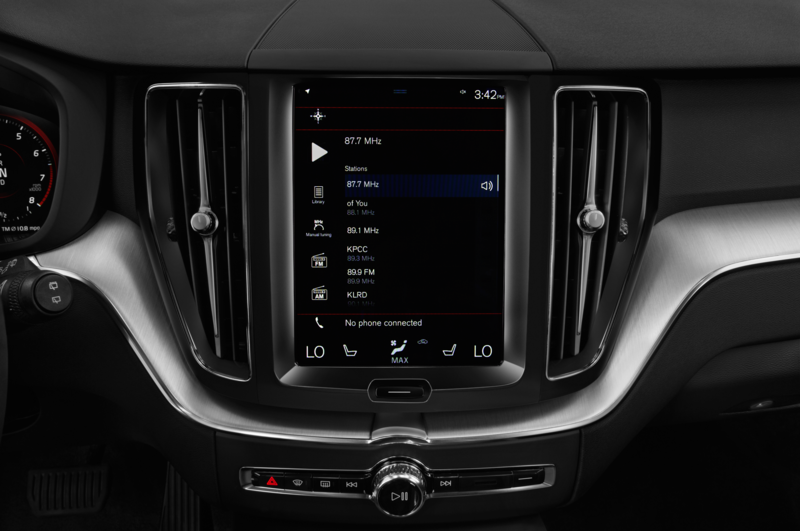 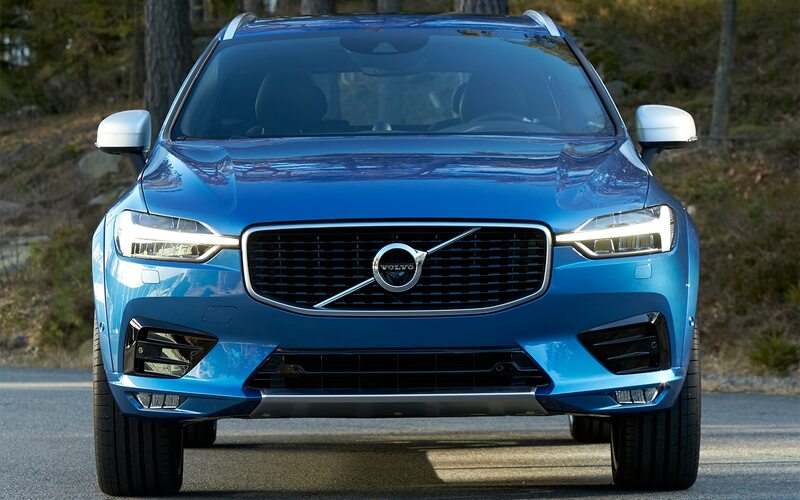 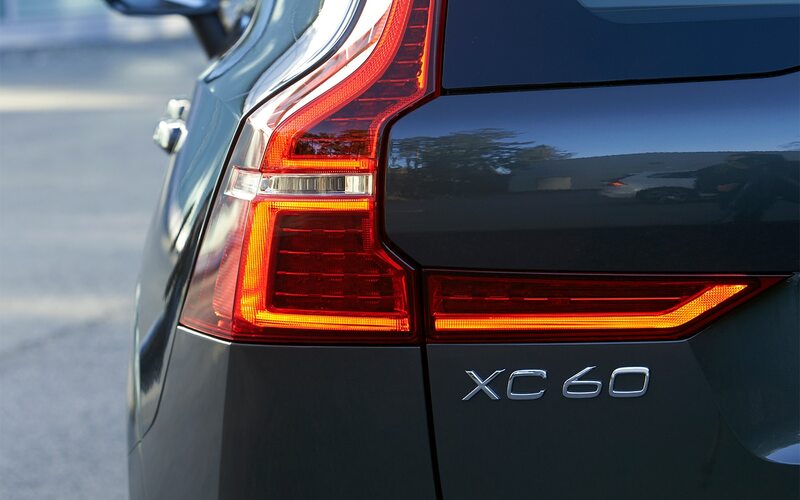 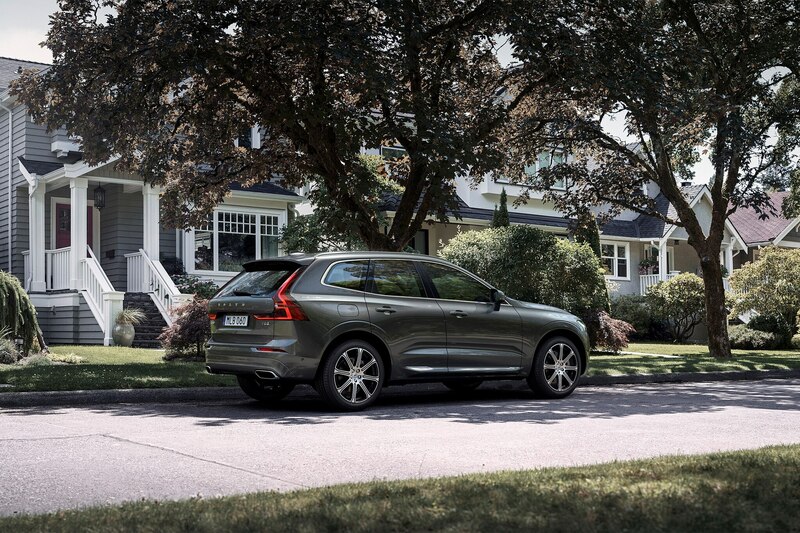 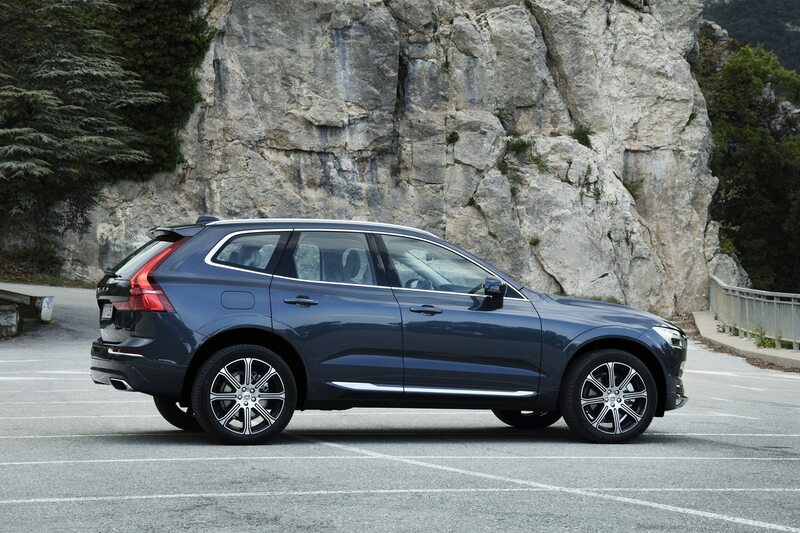 Speaking of safety, every 2018 XC60 comes standard with a long list of features like lane-keep assist, automatic braking after an accident, run-off road mitigation (seats specifically designed to reduce the risk of spinal injury in the event of running off the road into a ditch), and collision avoidance with object detection. 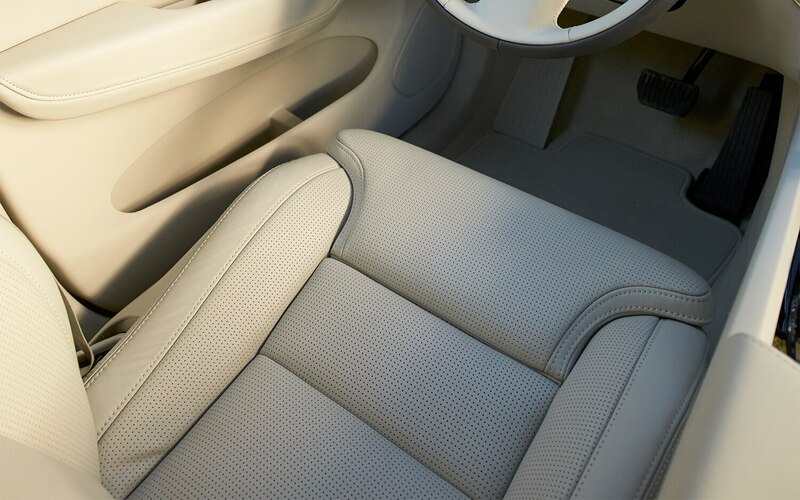 This last one we ended up testing totally by accident, after some glare and dappled shade distracted us from the scooter rider who popped out of his parking spot. 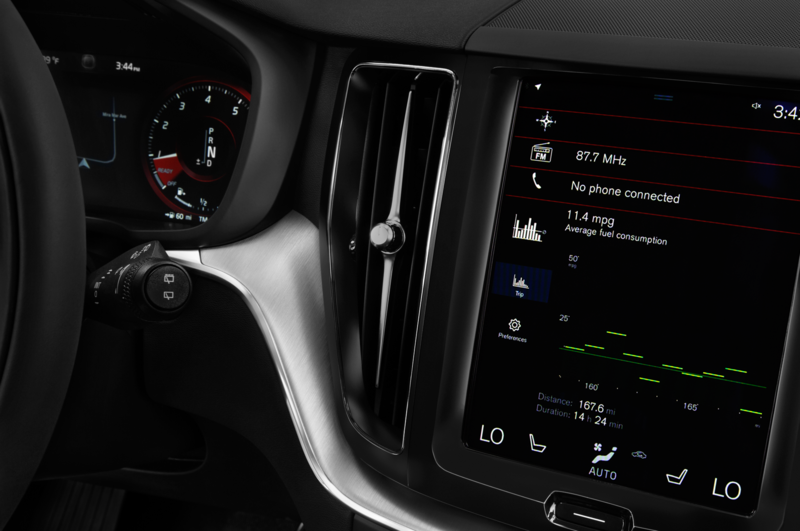 The system not only automatically engaged the brakes a half-second before our foot hit the pedal, but the alert system was not the least bit jarring considering its effectiveness. 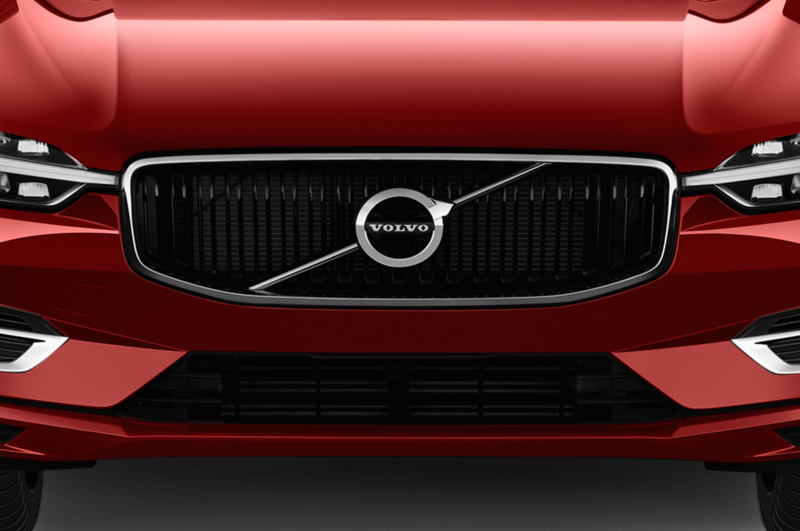 Kudos, Volvo. 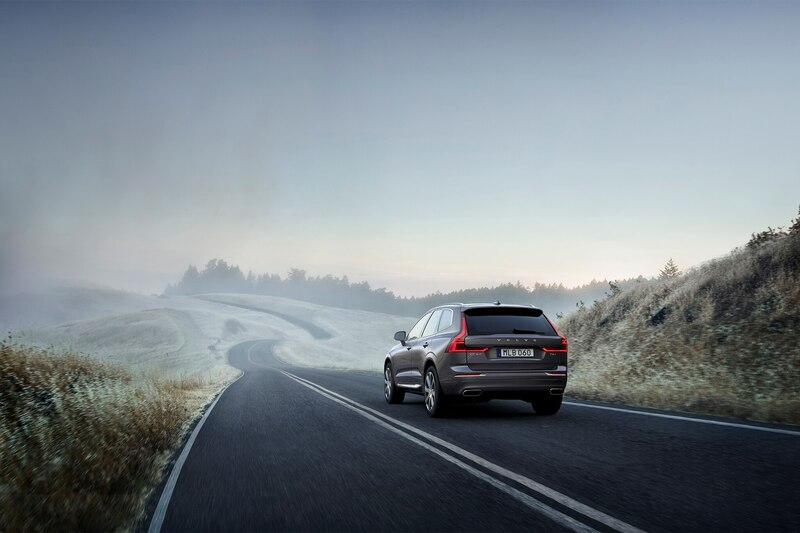 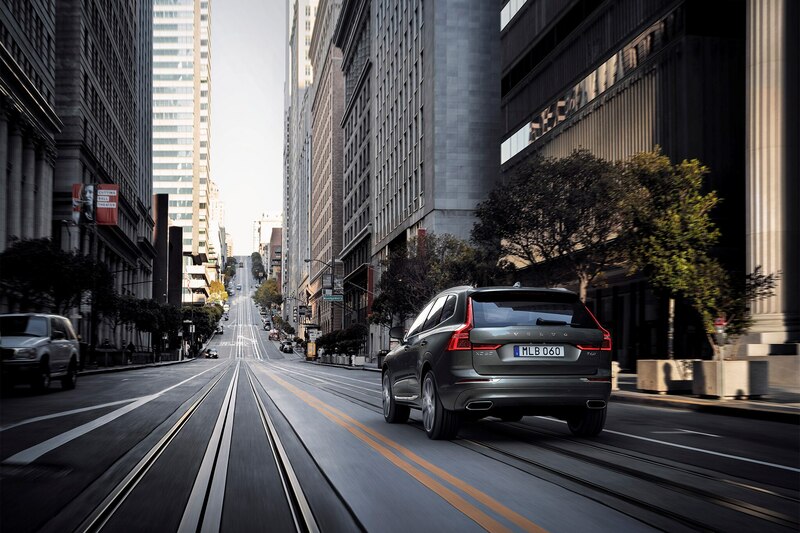 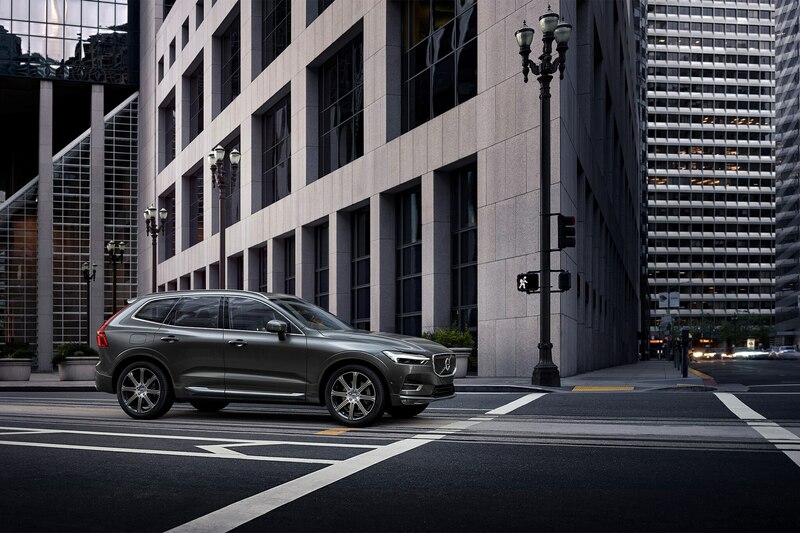 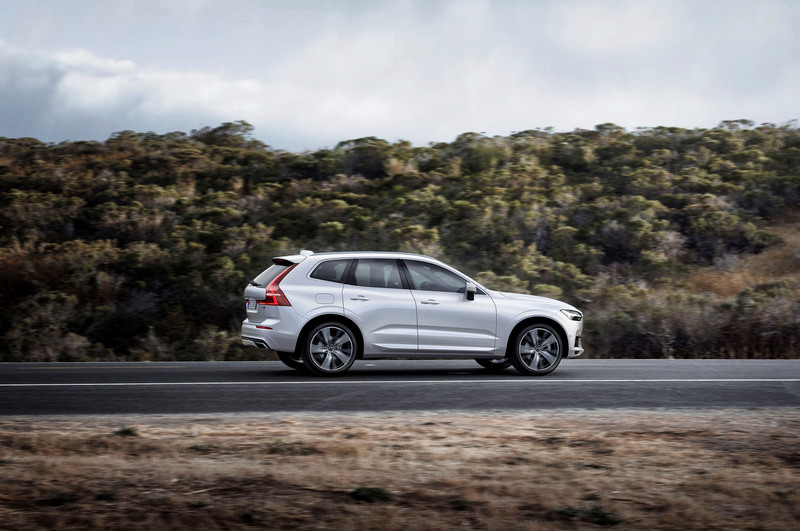 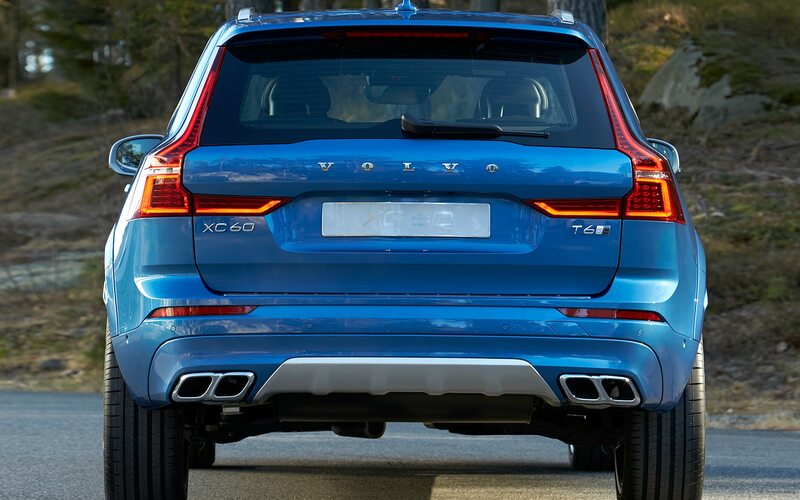 New on the 2018 XC60 is Oncoming Lane Mitigation, which can steer you out of the way of oncoming traffic if you veer out of your lane, as is a feature that will steer you clear of a vehicle coming up from the rear in the lane over, should you drift toward it. 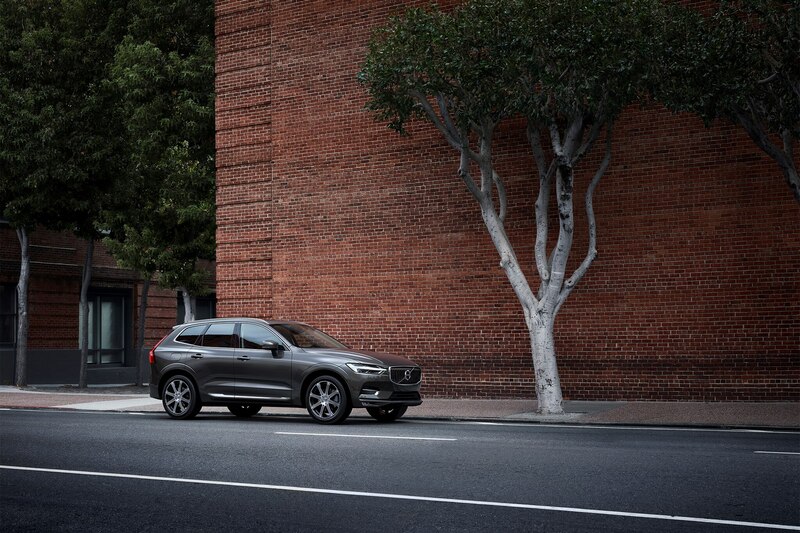 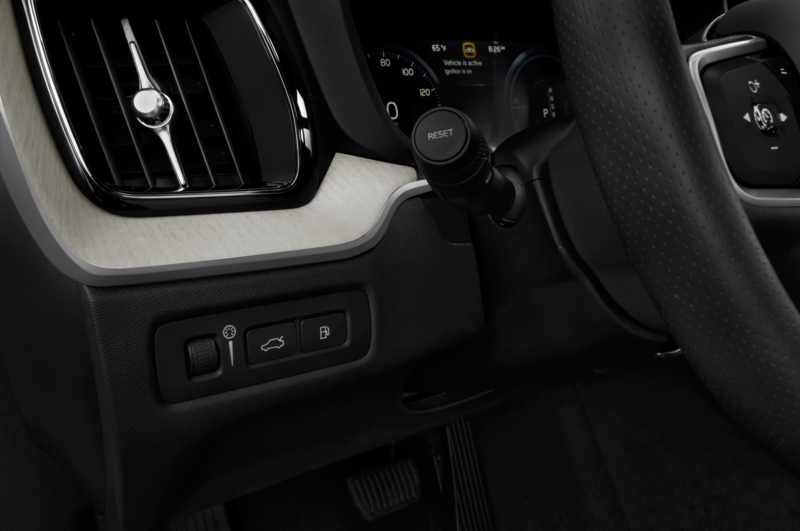 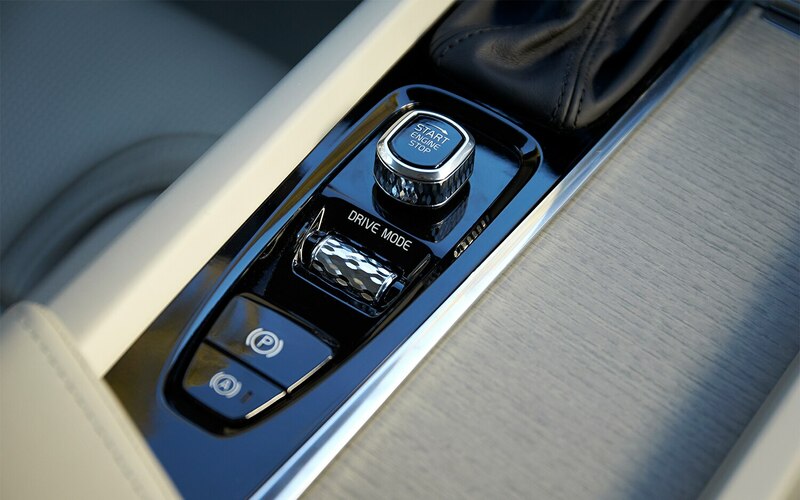 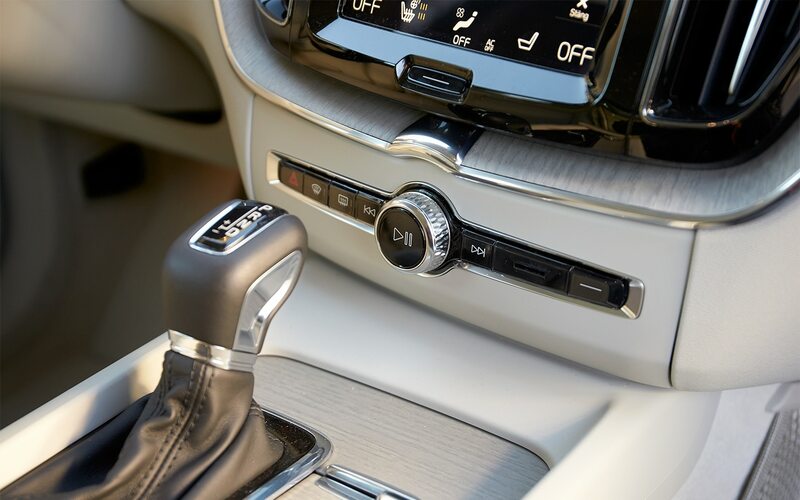 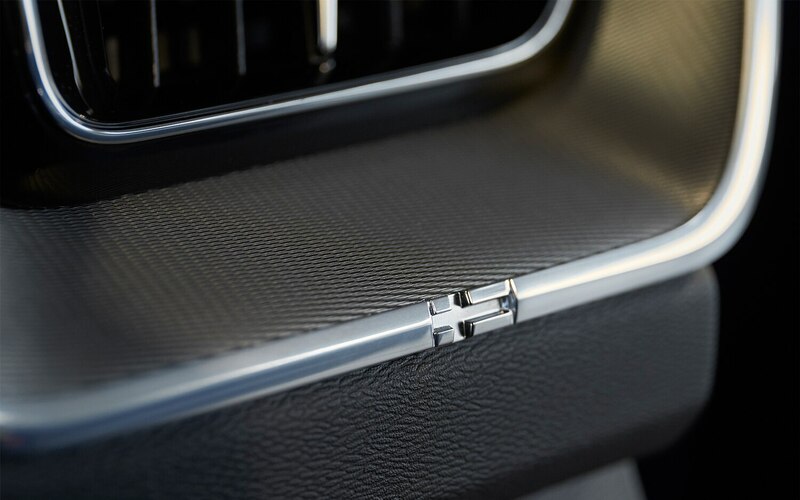 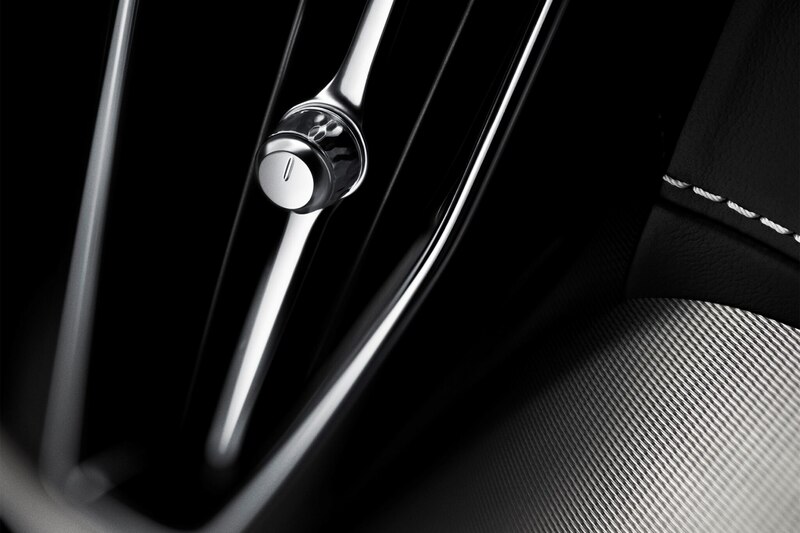 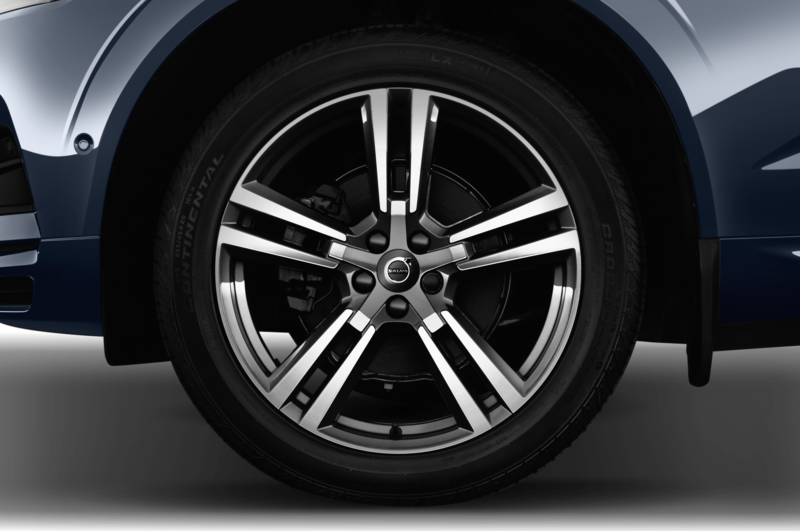 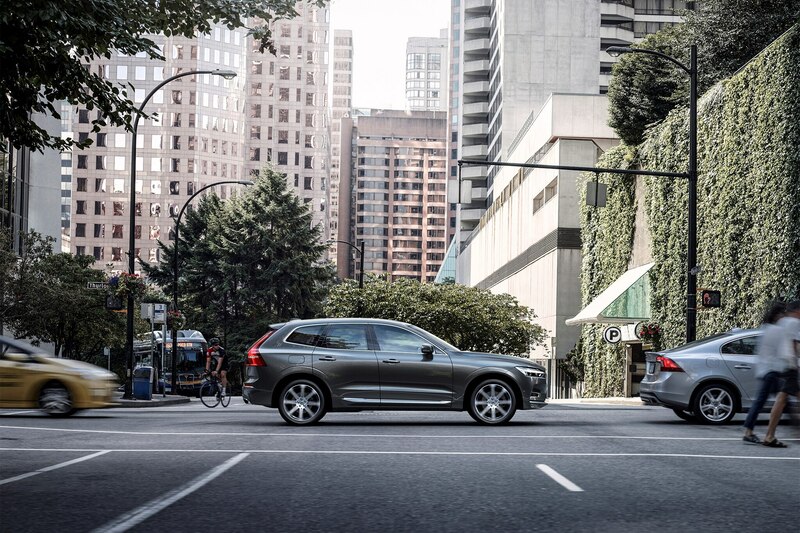 Standard on the 2018 Volvo XC60 is Pilot Assist, which allows the car to take control of accelerating, braking, and to a certain degree, steering. Volvo is extremely keen to point out that this is an assist system, not an autonomous one, and the car will alert you to take control if you lay off the steering wheel for several seconds. 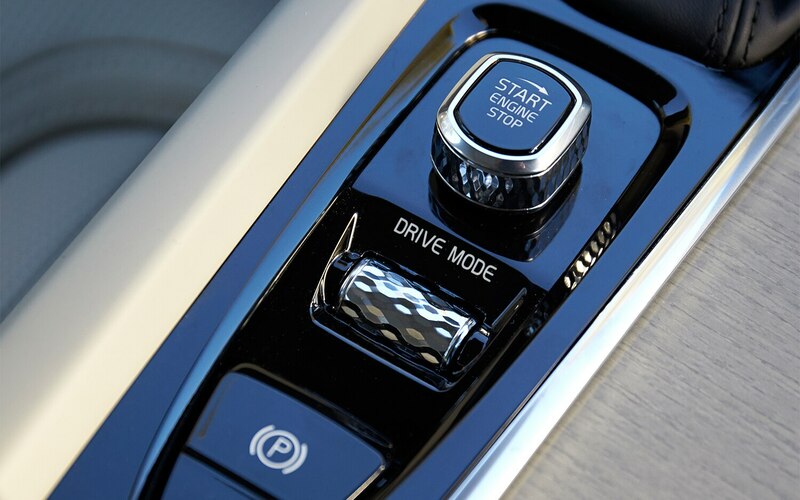 Overall, it works just as well as the similar optional system in the Mercedes-Benz E-Class — that is to say, it helps reduce the strain and stress of commuting or long road trips rather than working as a replacement for a flesh and blood human. 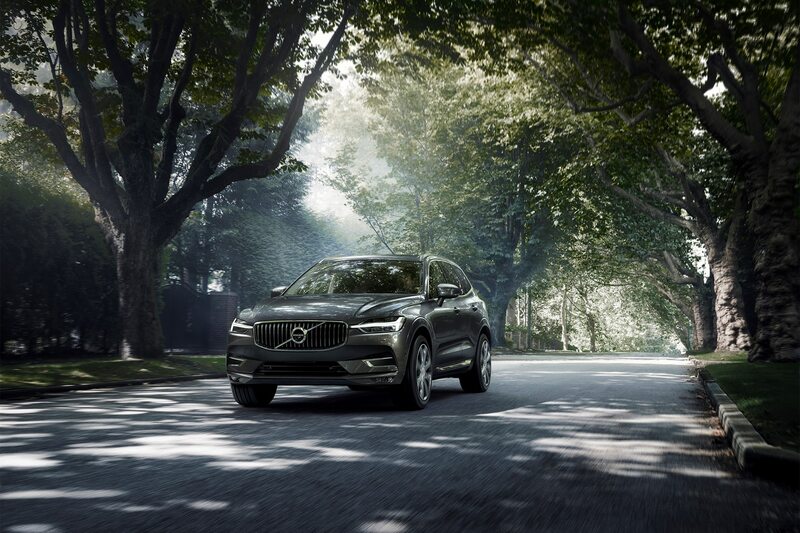 Anyone who’s been to Sweden knows about the extra-long summer days and depressingly dark winters, but the XC60 is a sign Volvo is entering the season of the former. 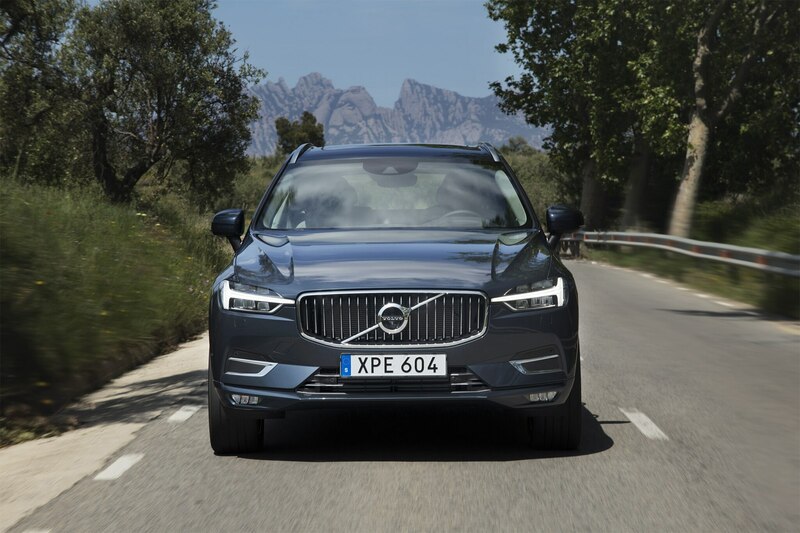 A worthy follow-up to the almost unanimously loved XC90 and stylish S90, the XC60 is a compelling alternative with the technology, luxury, and class to keep everyone else on their heels. 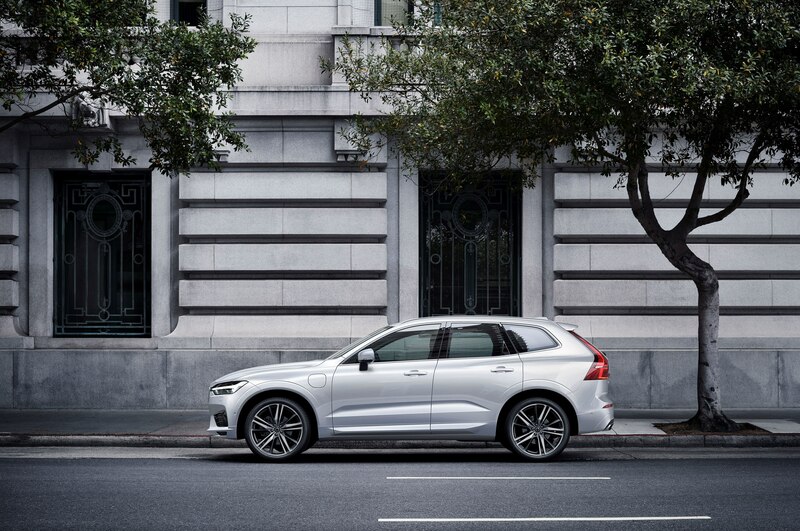 Priced right where it left off, at $42,495 to start for the XC60 T5 (the T6 start at $45,895), it’ll compete right in the heart of the market, and with more standard fare than most of its segment rivals. 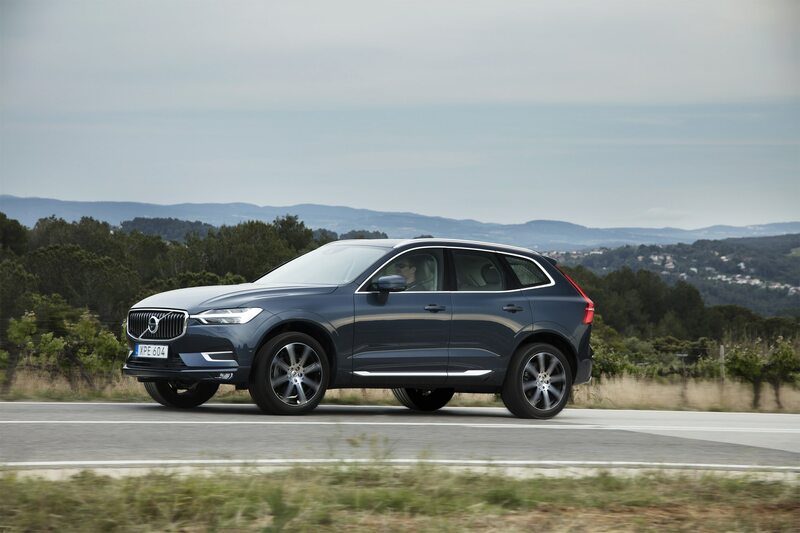 16,600 people have already raised their hands for an XC60, which is right in line with where early demand for the XC90 hovered on its respective timeline. 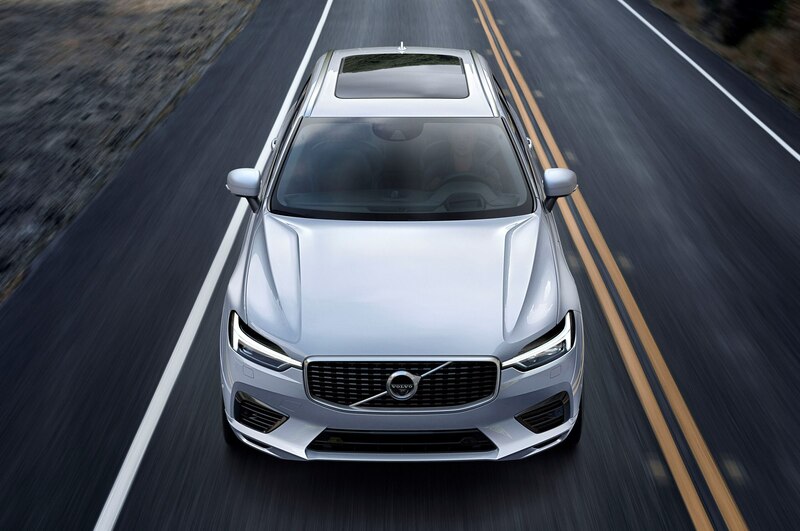 With a new S60 sedan and V60 wagon soon to follow, Volvo’s patience — even during its darkest days earlier this decade — is looking to pay off in a big way.